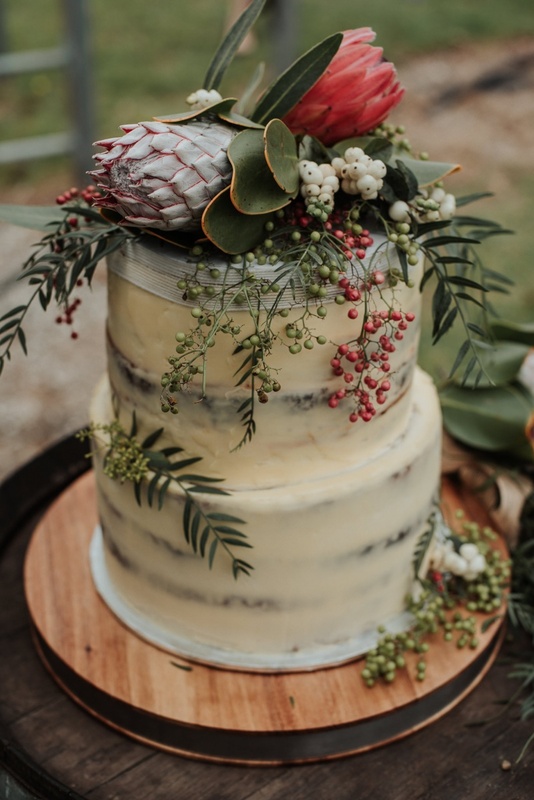 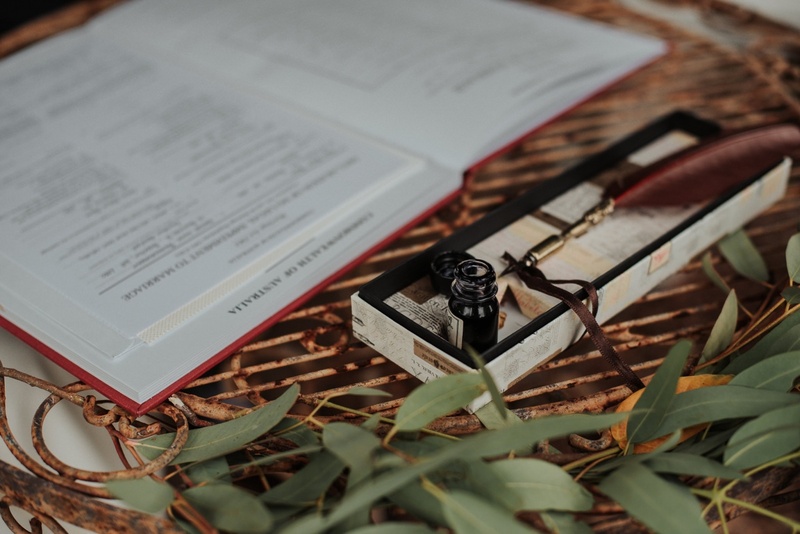 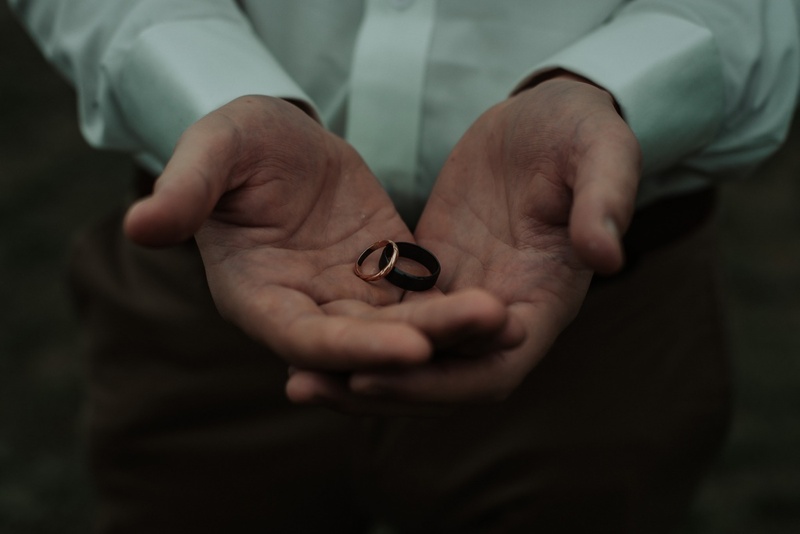 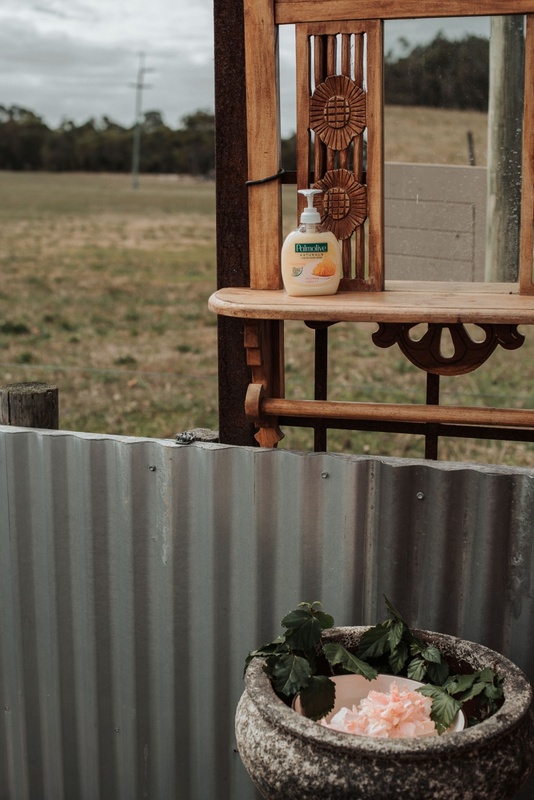 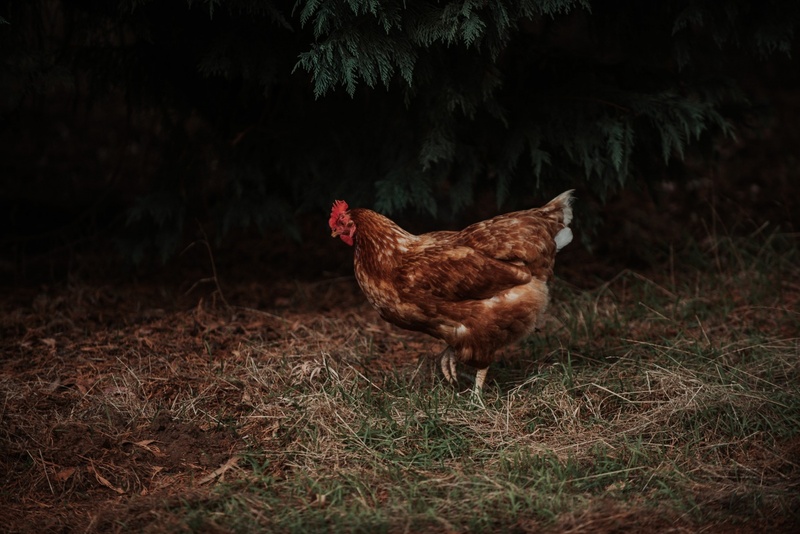 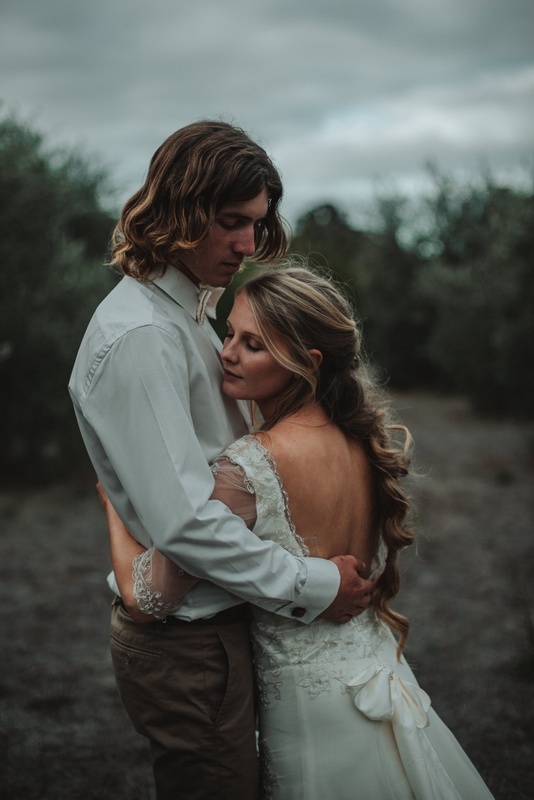 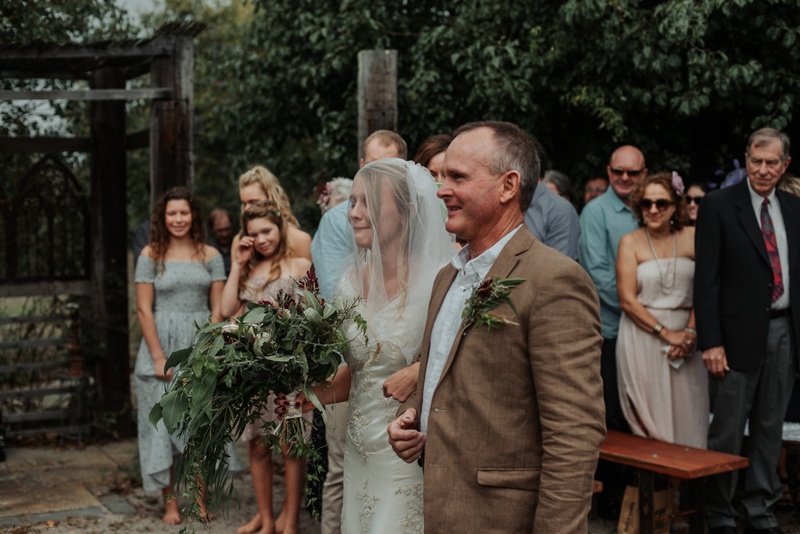 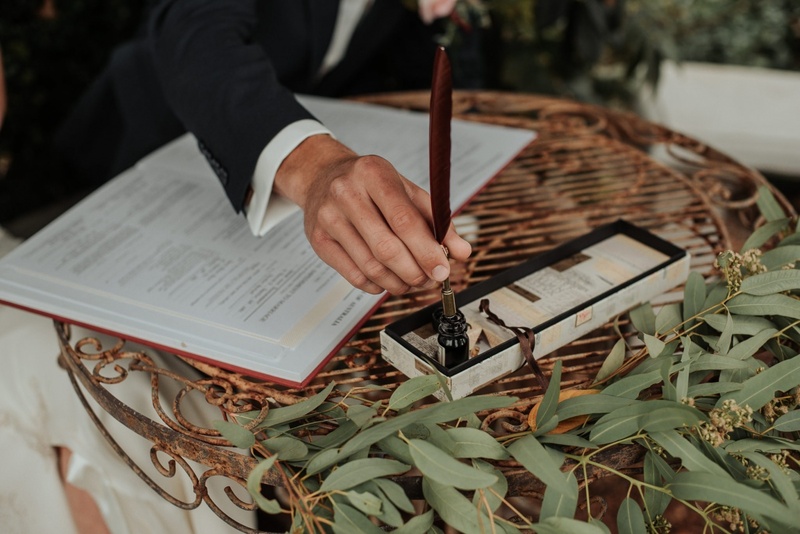 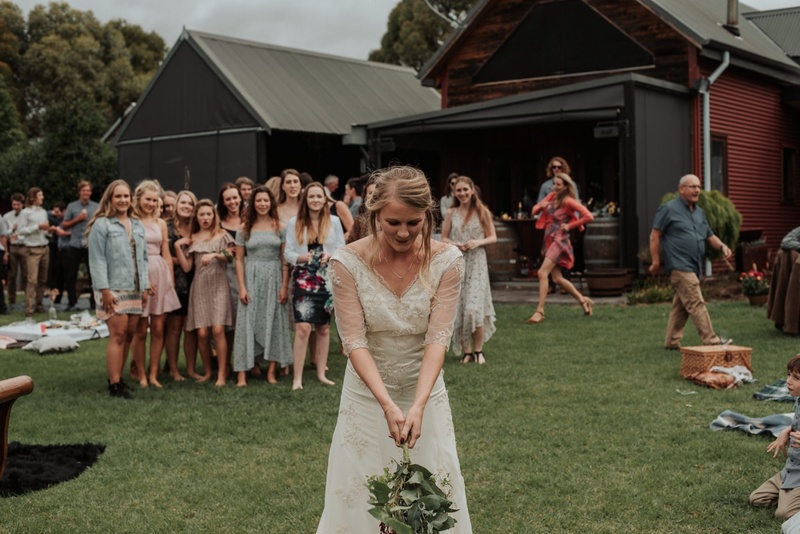 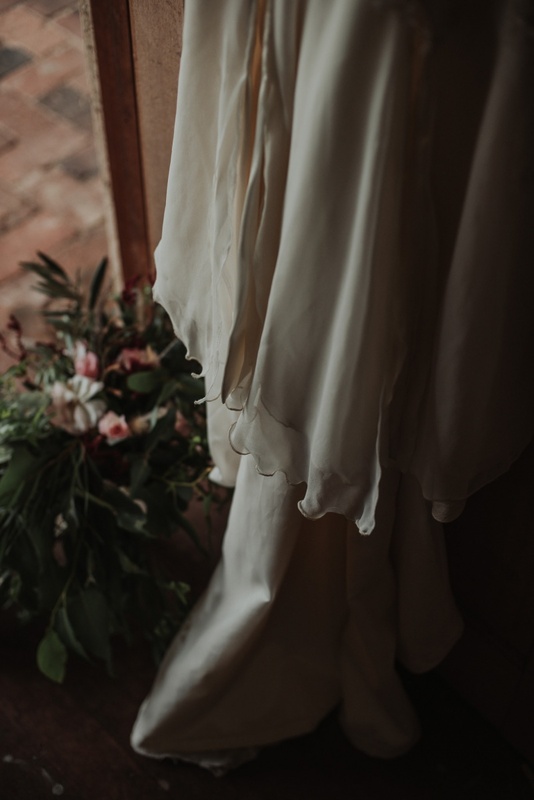 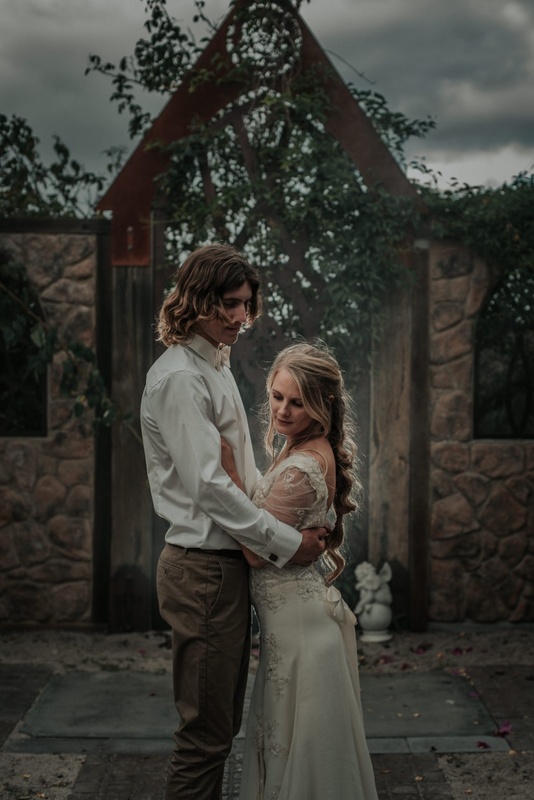 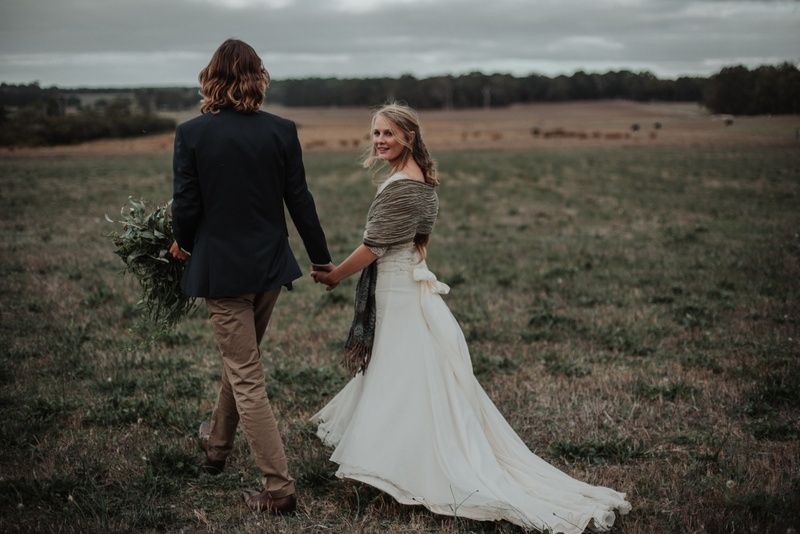 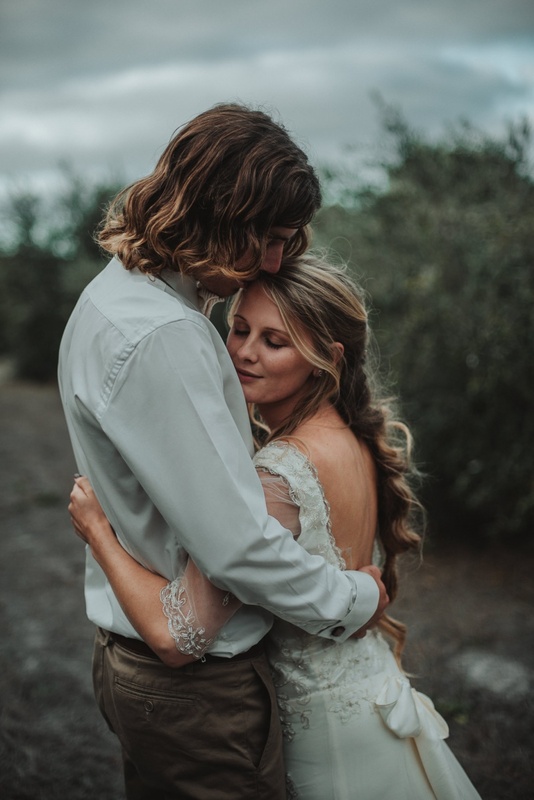 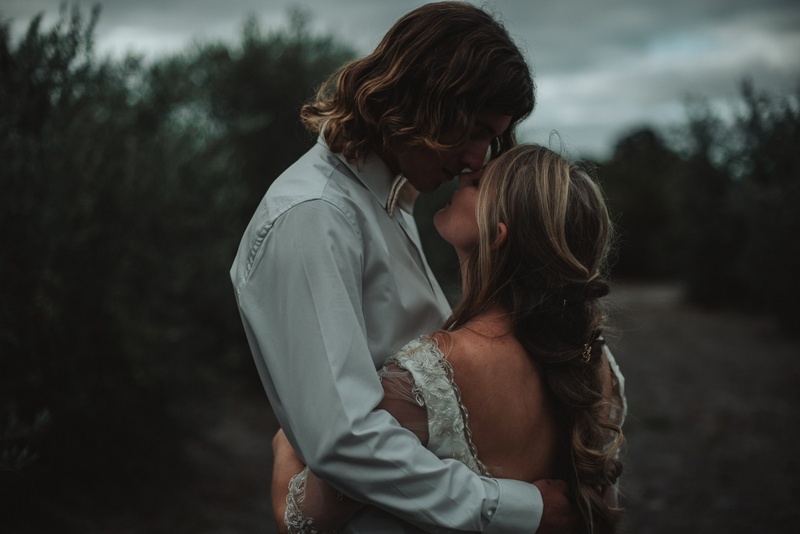 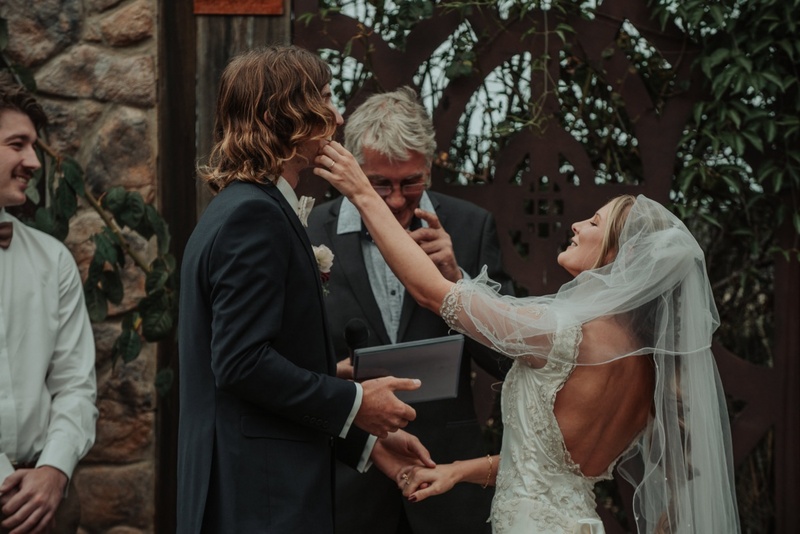 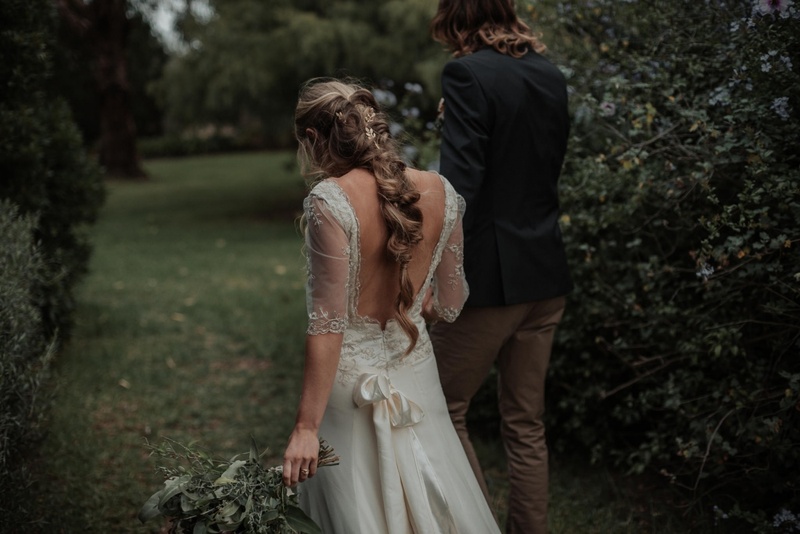 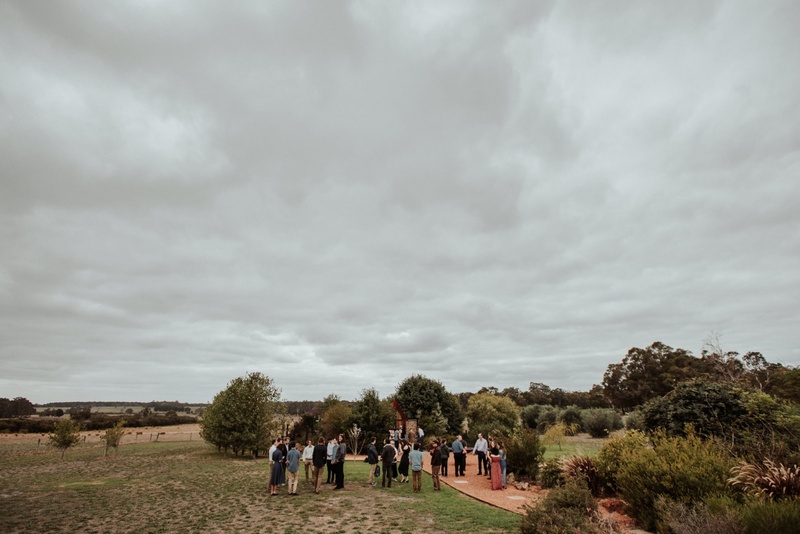 There were so many aspects of this Cowaramup Farm Wedding that had us excited even before the wedding day. 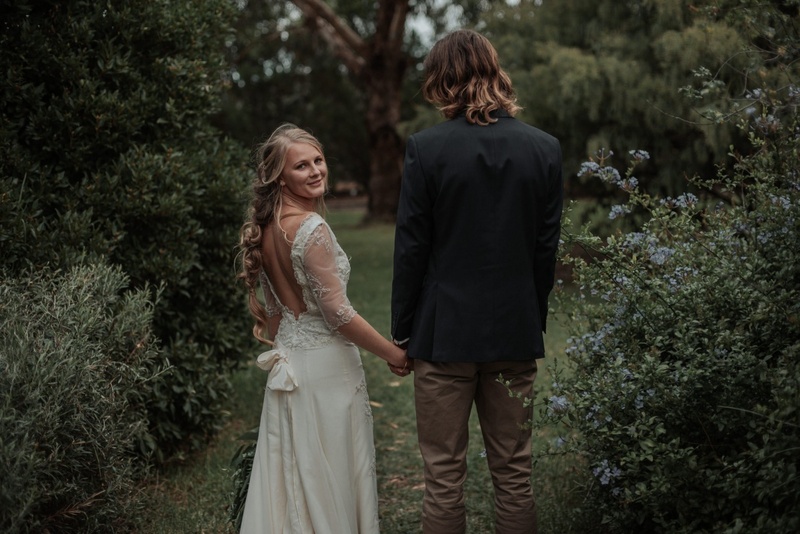 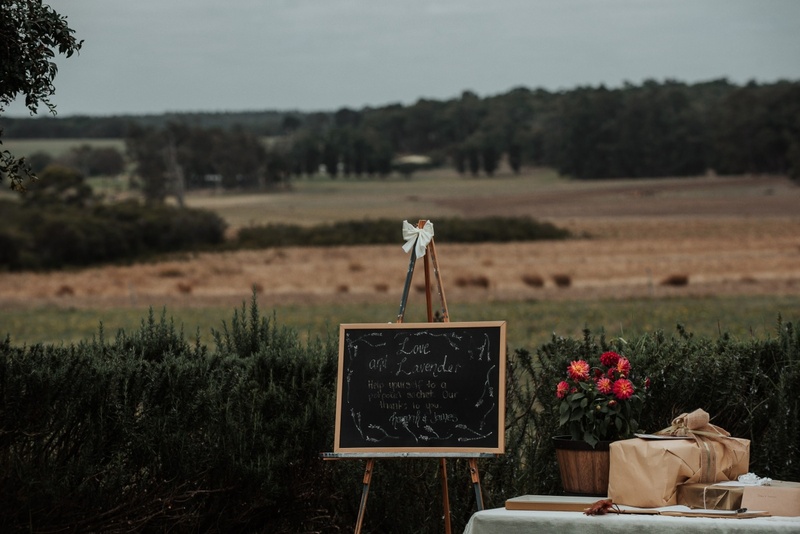 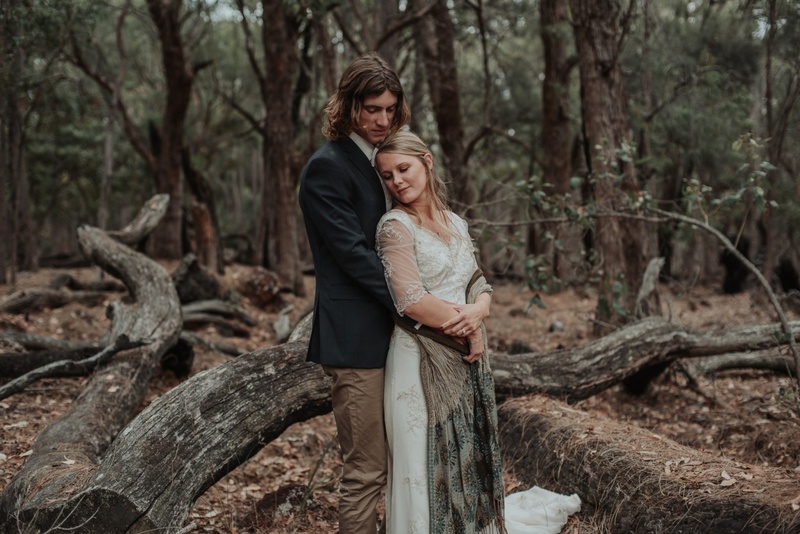 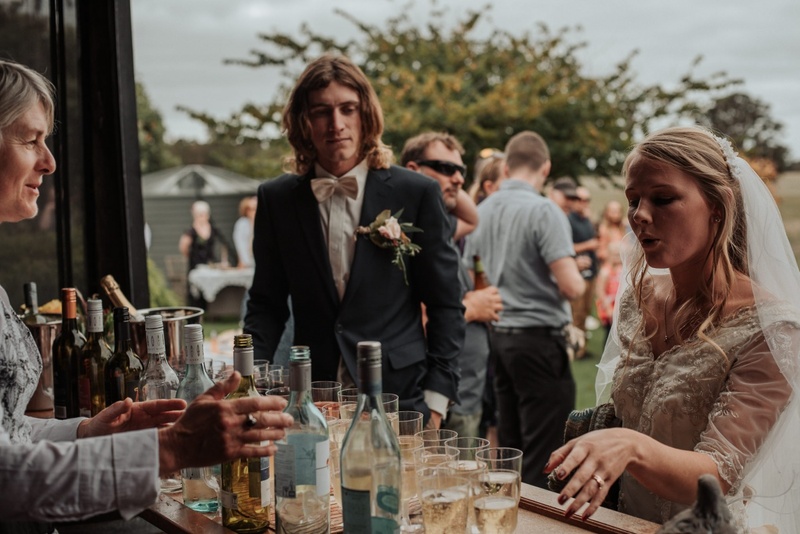 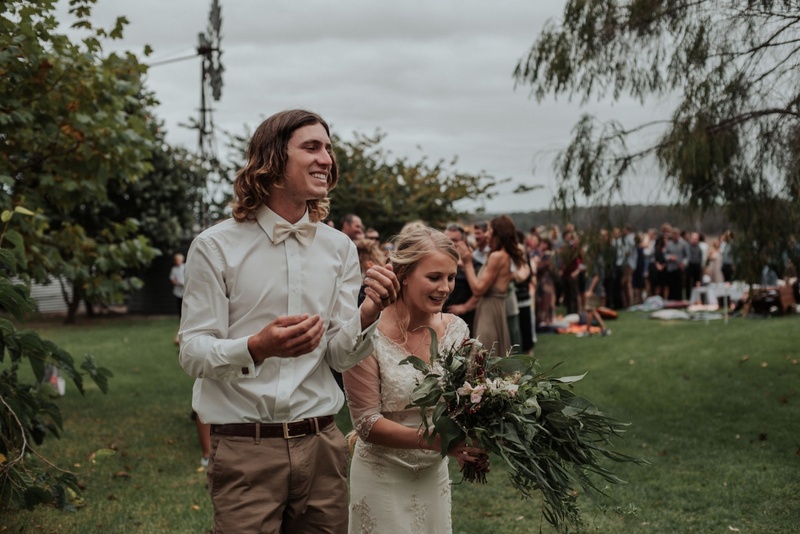 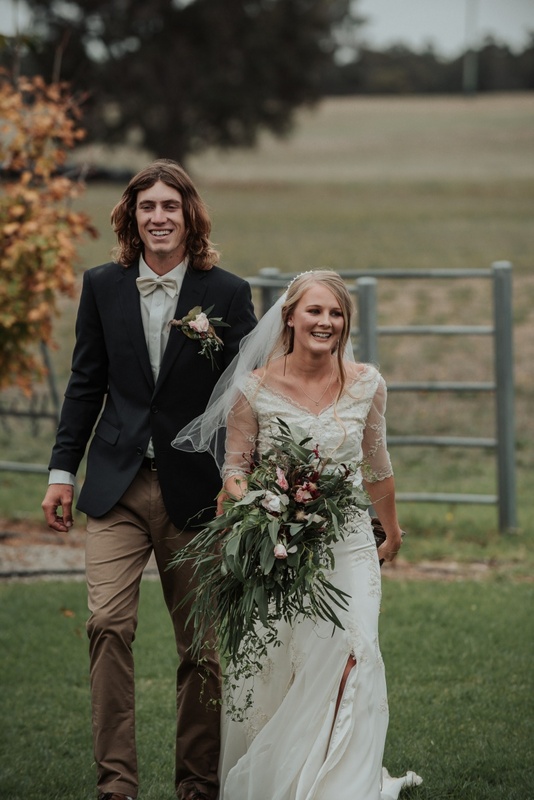 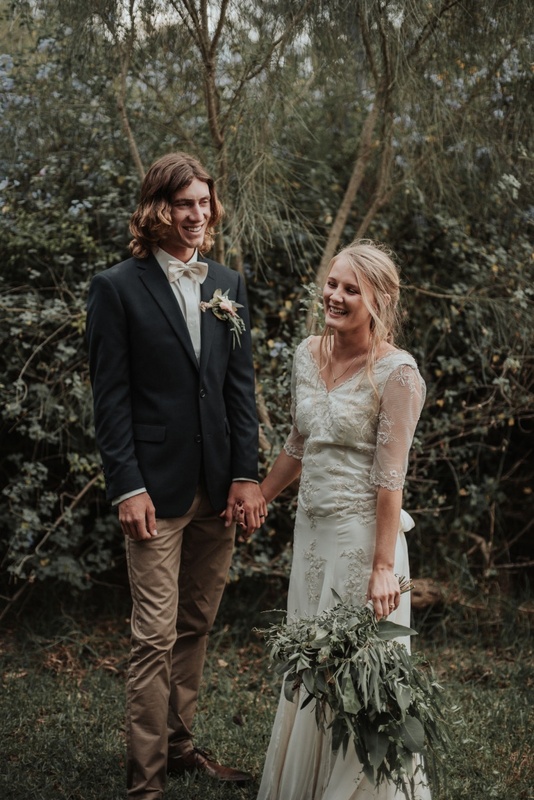 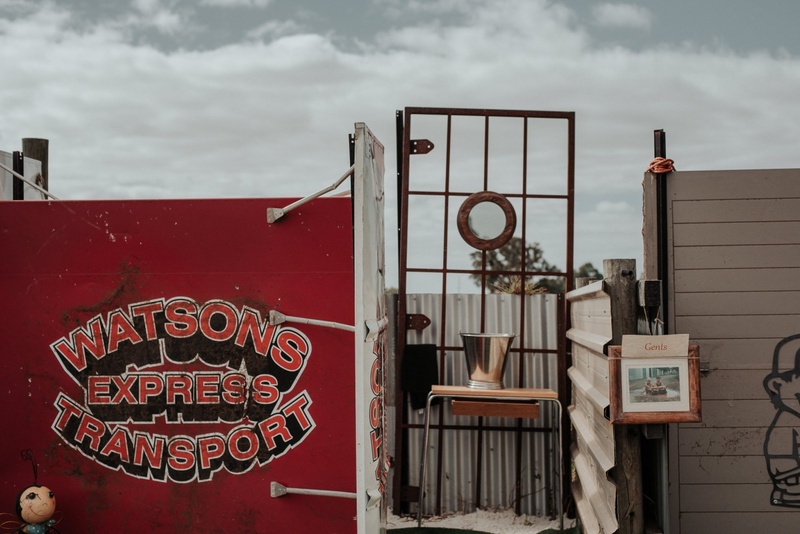 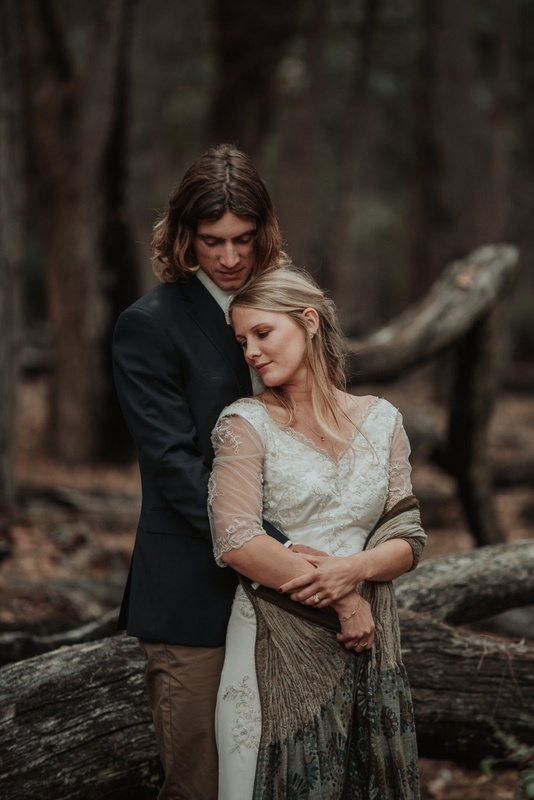 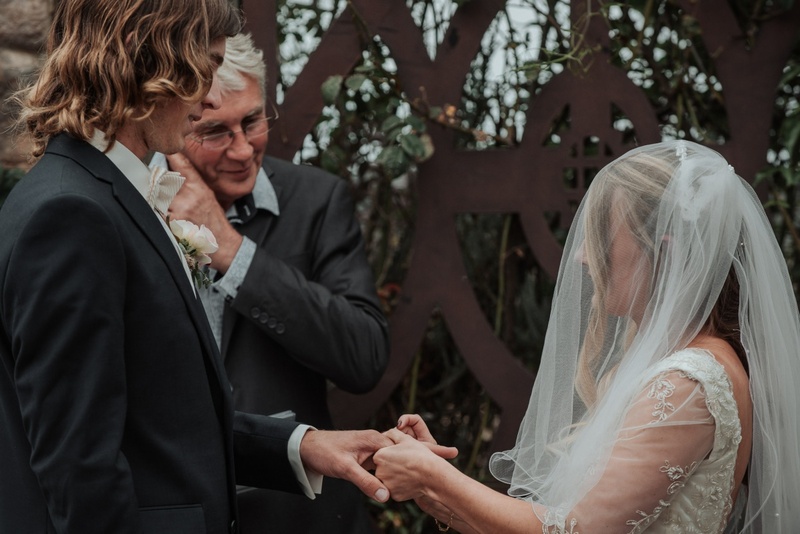 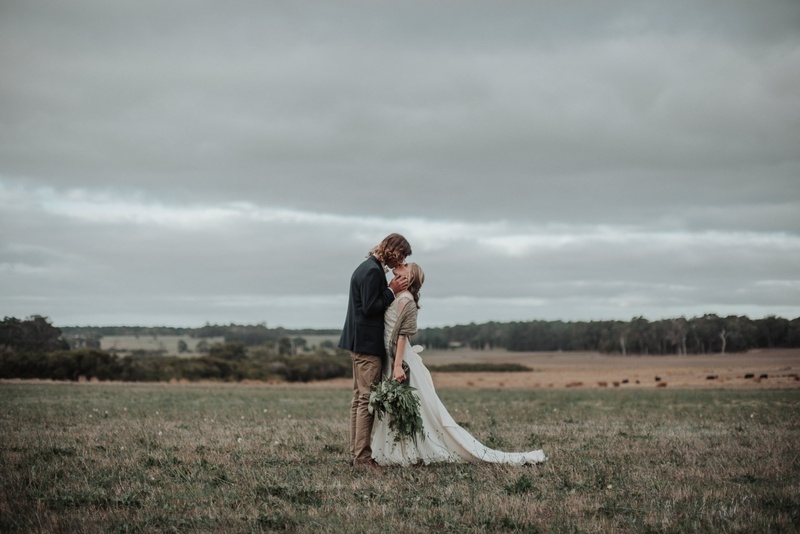 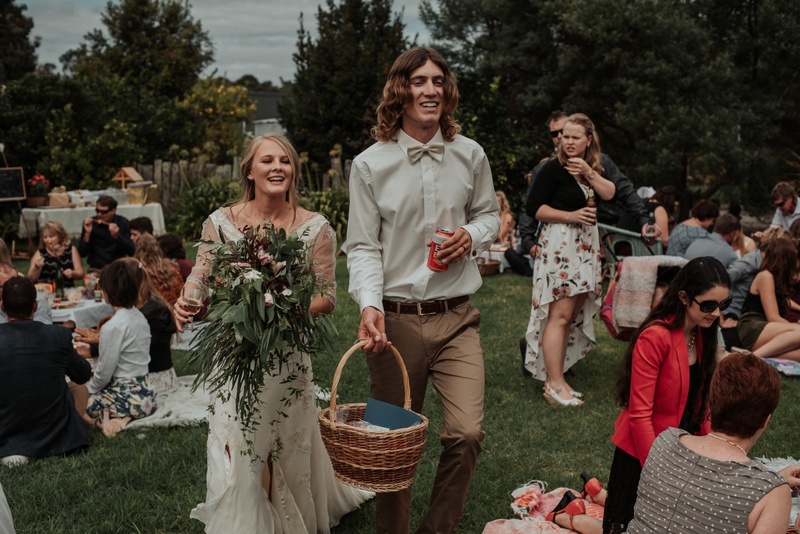 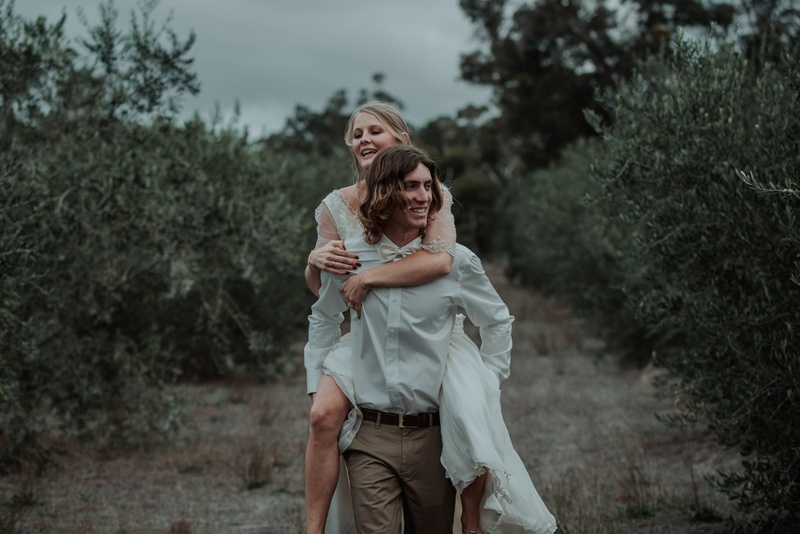 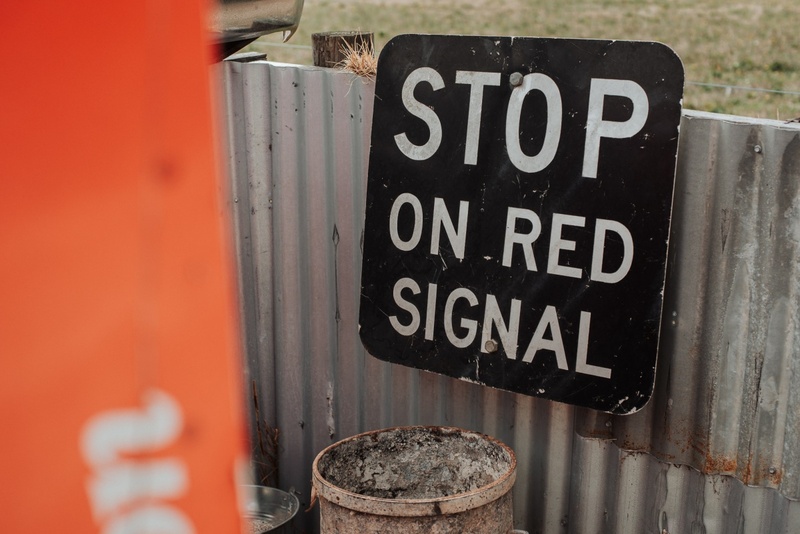 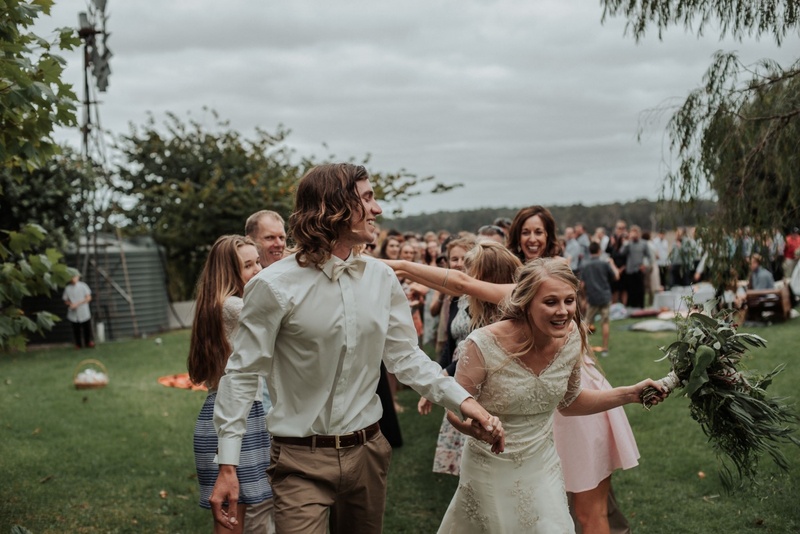 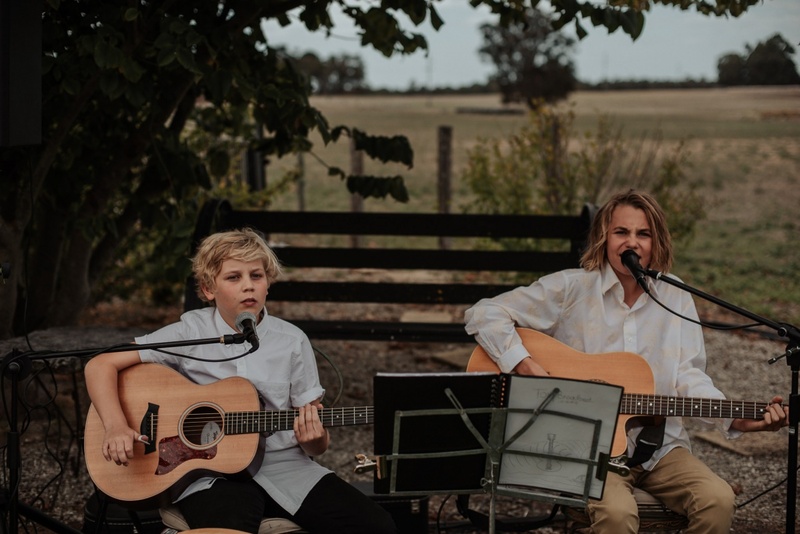 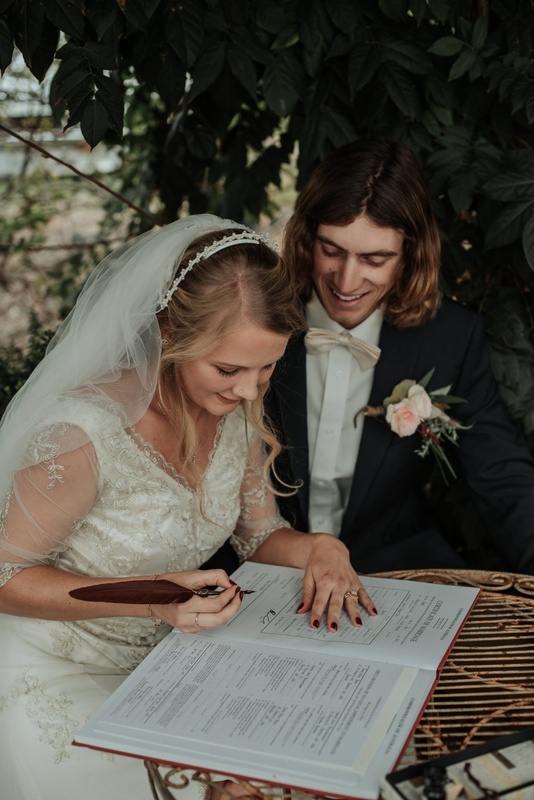 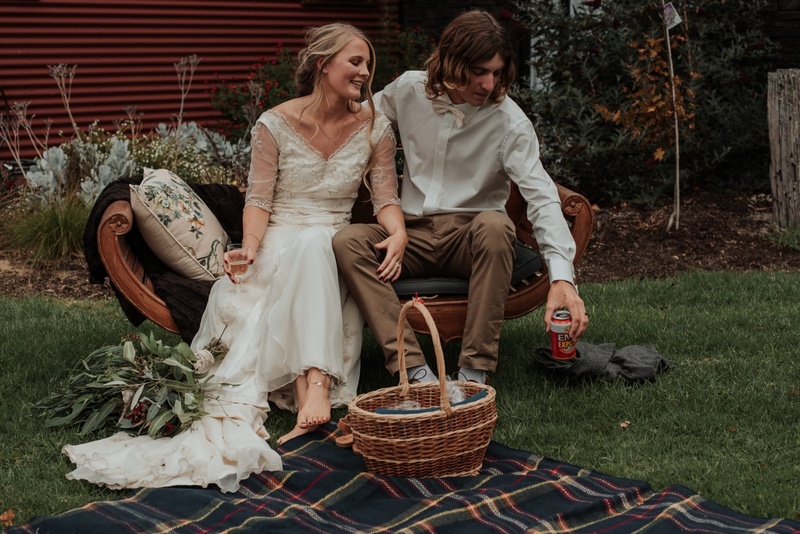 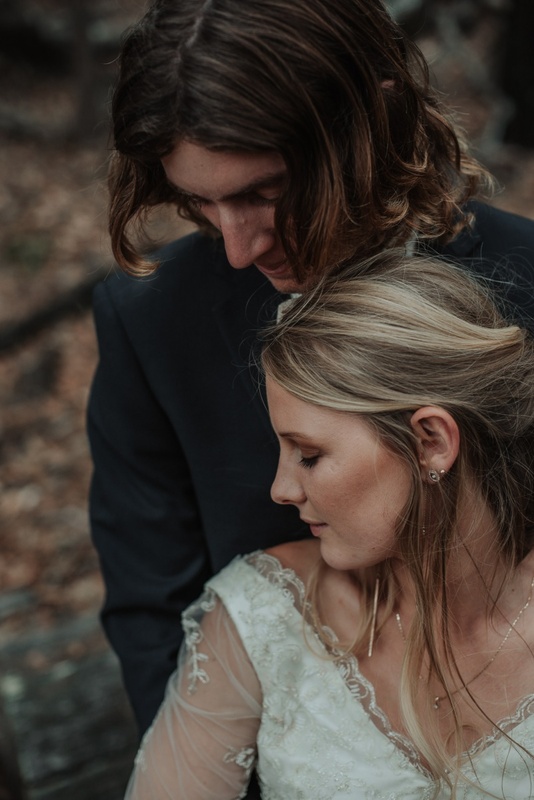 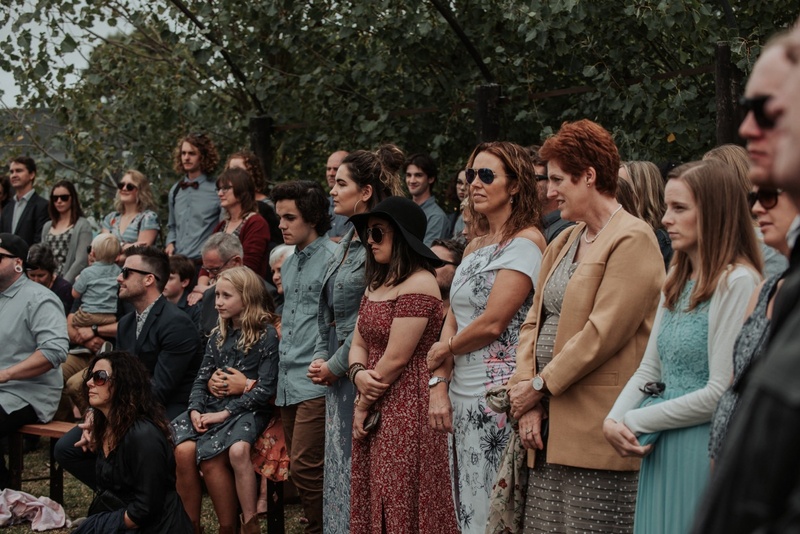 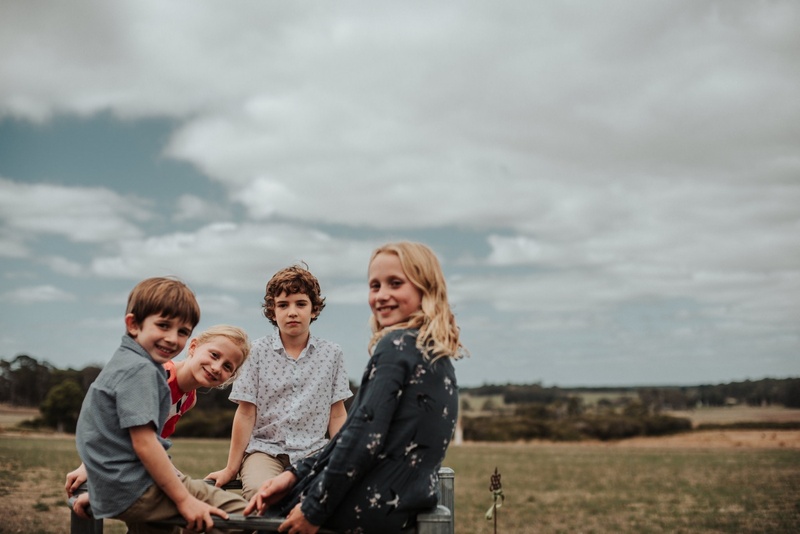 Firstly, Hannah and James were getting married at James’ Aunty Alison and Uncle Phil’s farm in Cowaramup that was 5 minutes from our place. 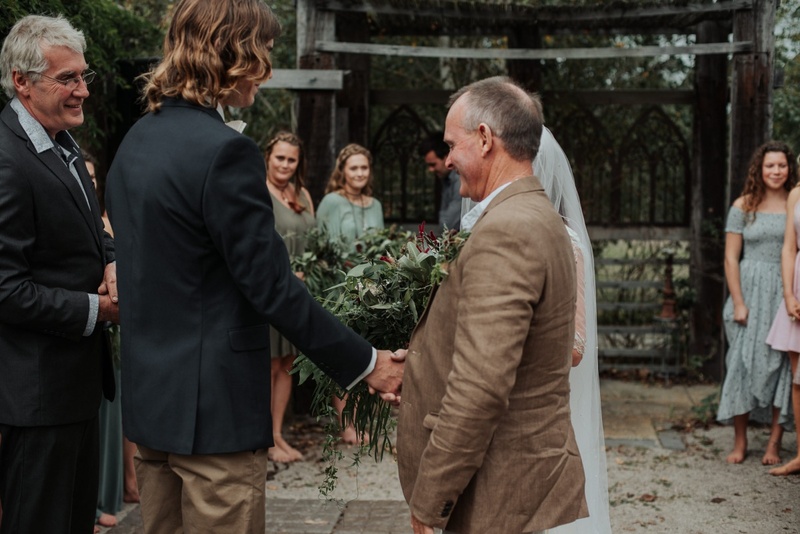 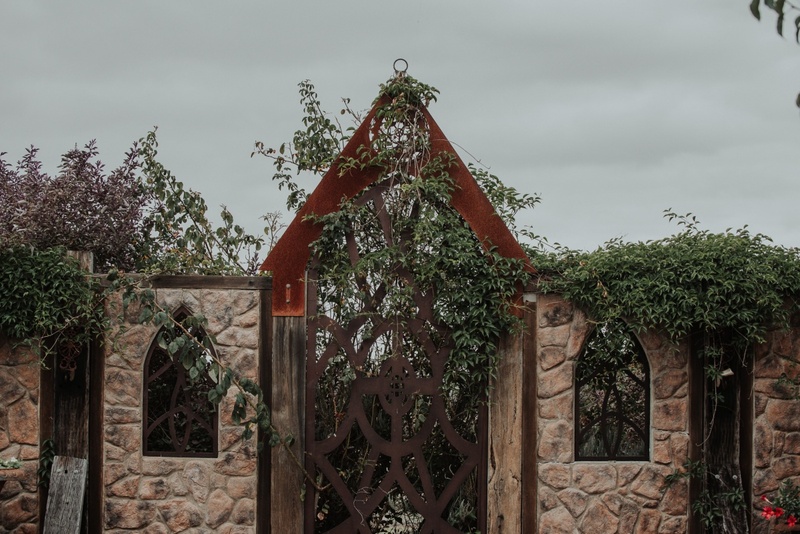 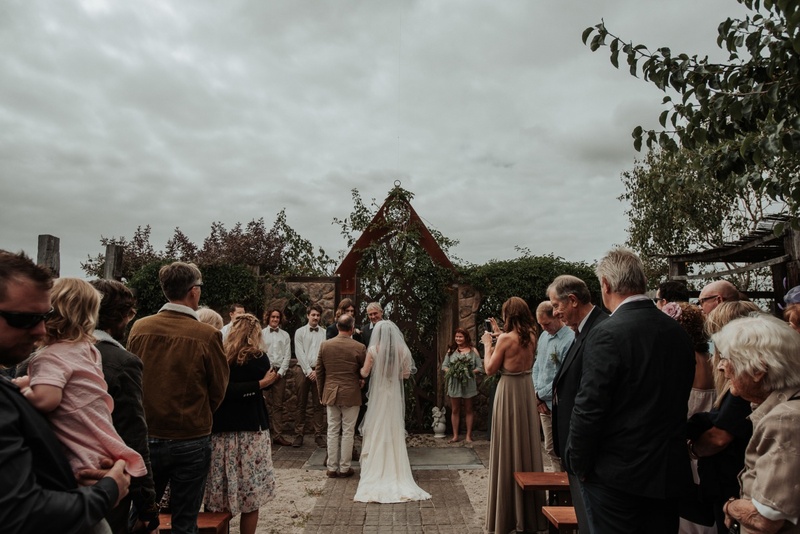 Secondly, James’ Uncle was going to be officiating the day in the open air chapel on the farm that he and Alison had built!!! 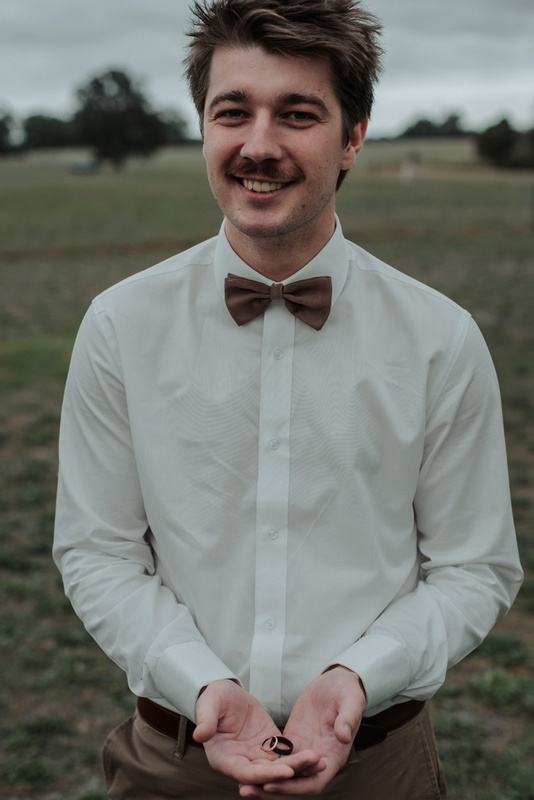 I couldn’t wait to see it. 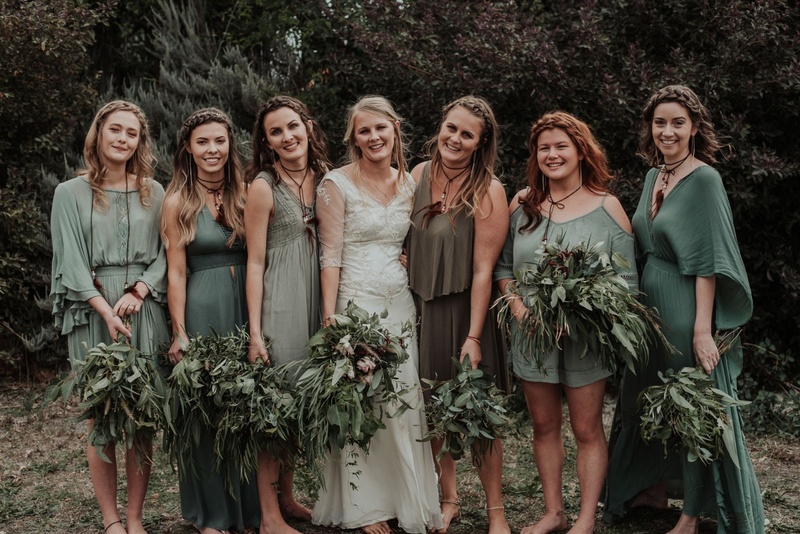 The bridesmaids looked amazing in their mis-matched vintage olive dresses. 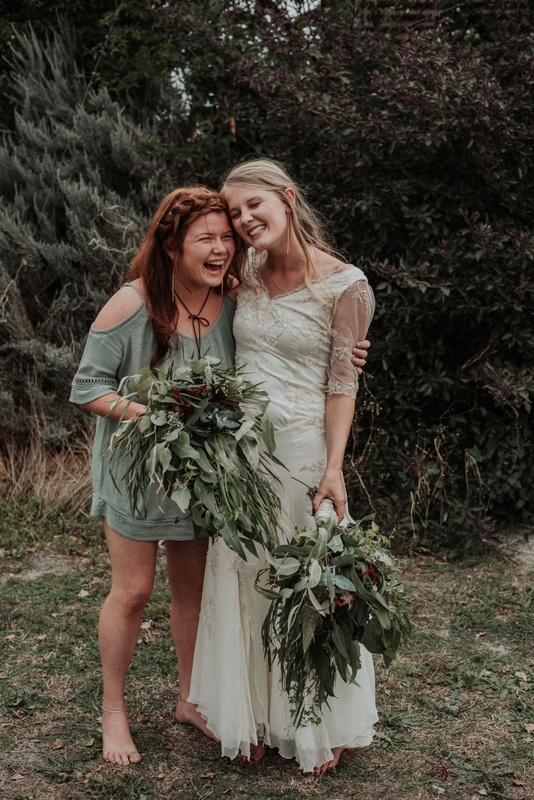 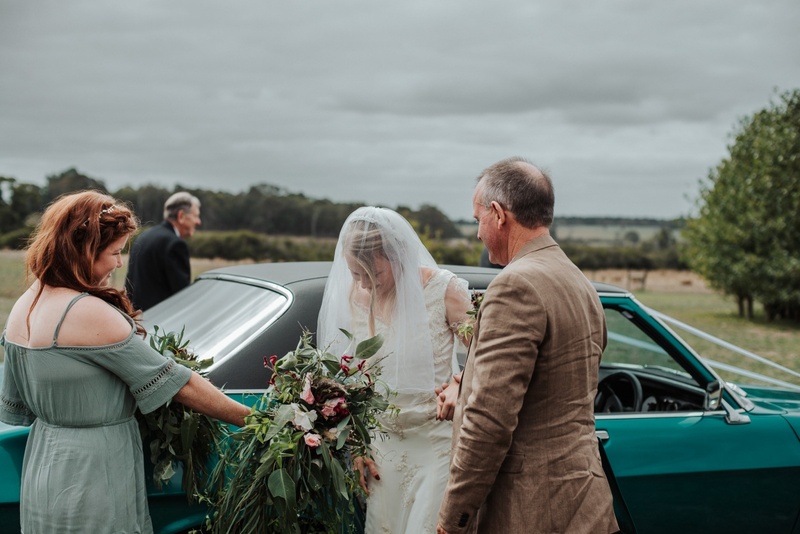 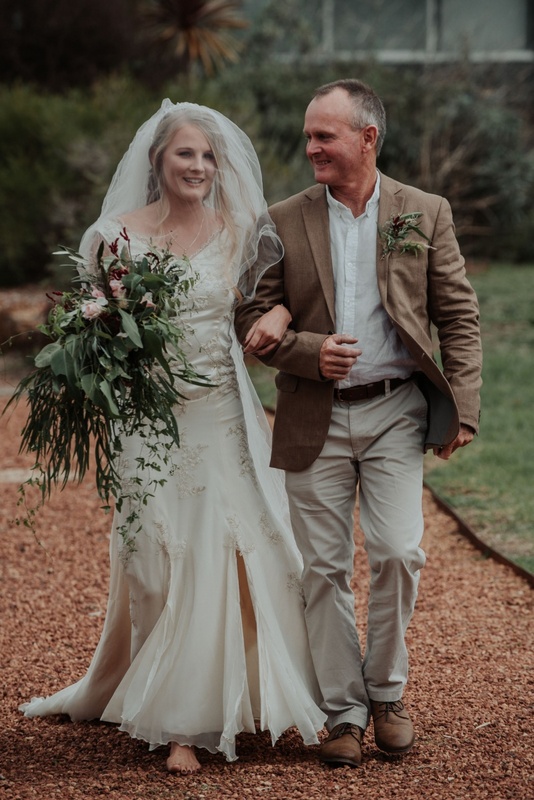 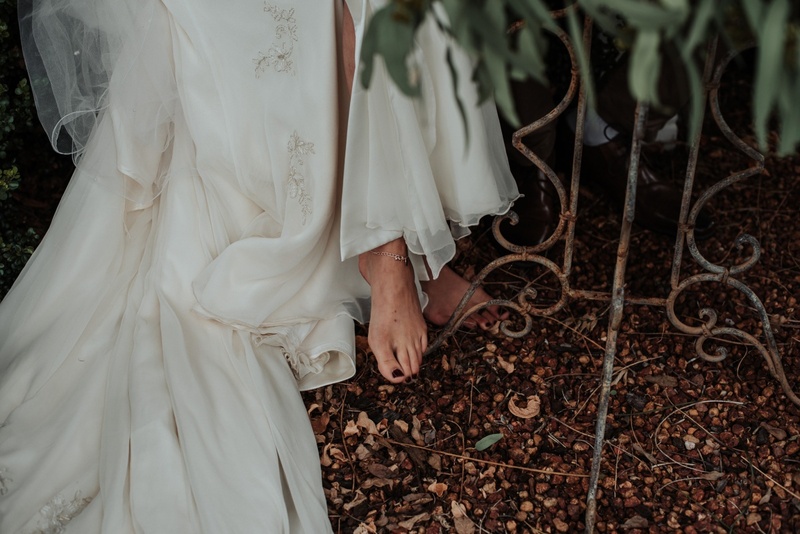 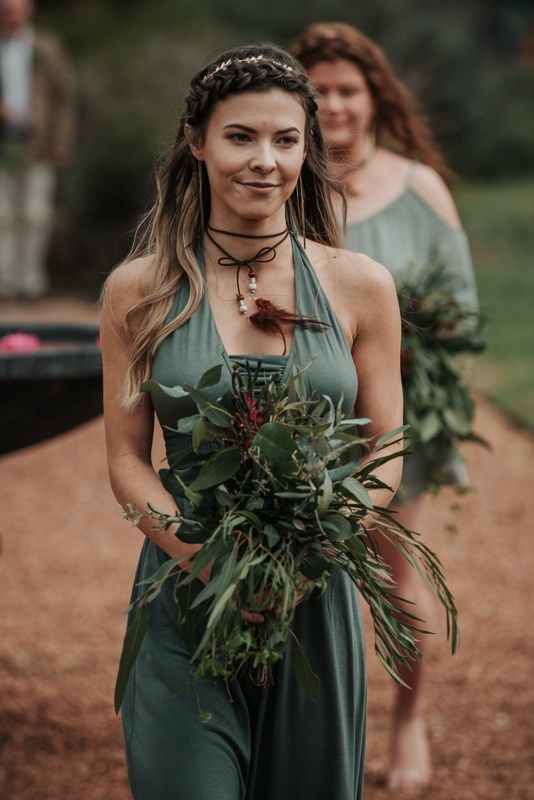 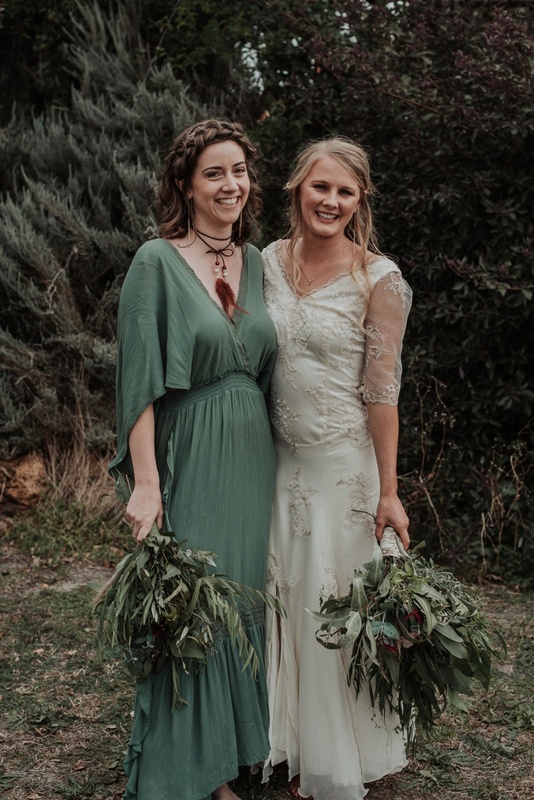 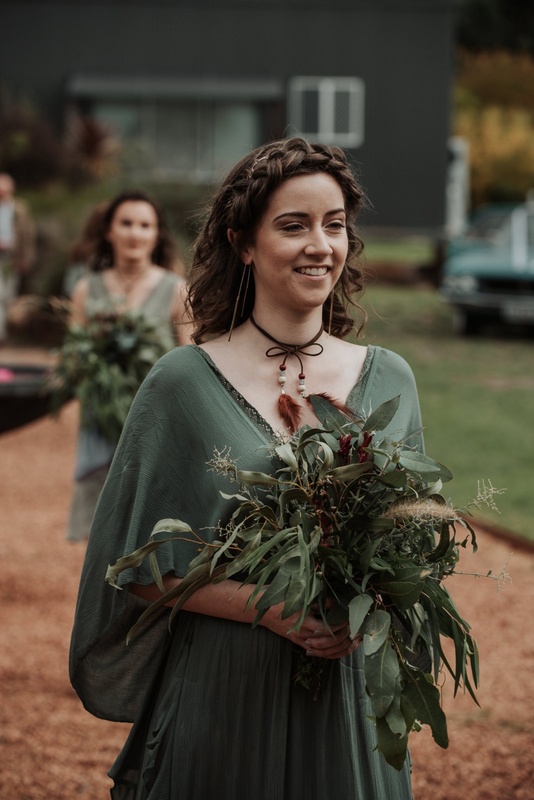 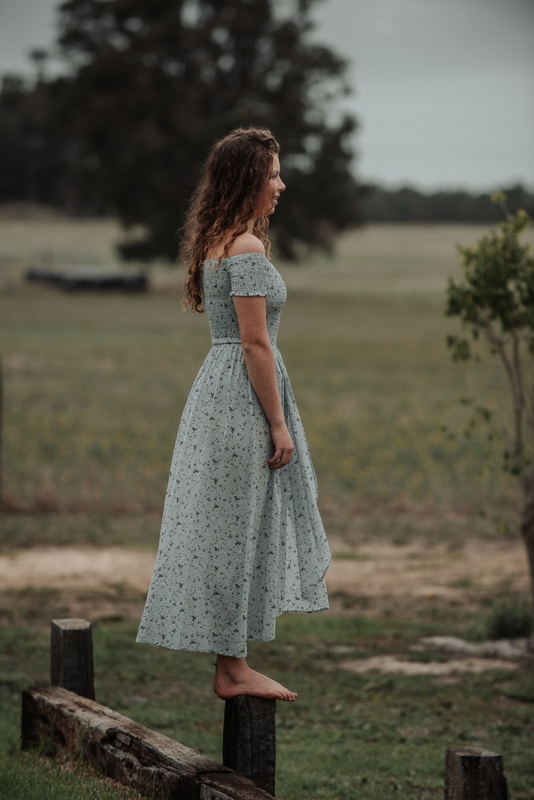 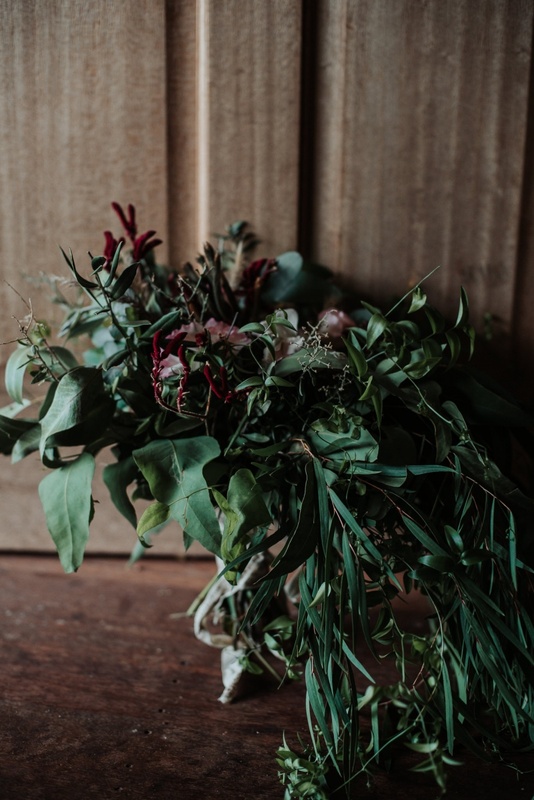 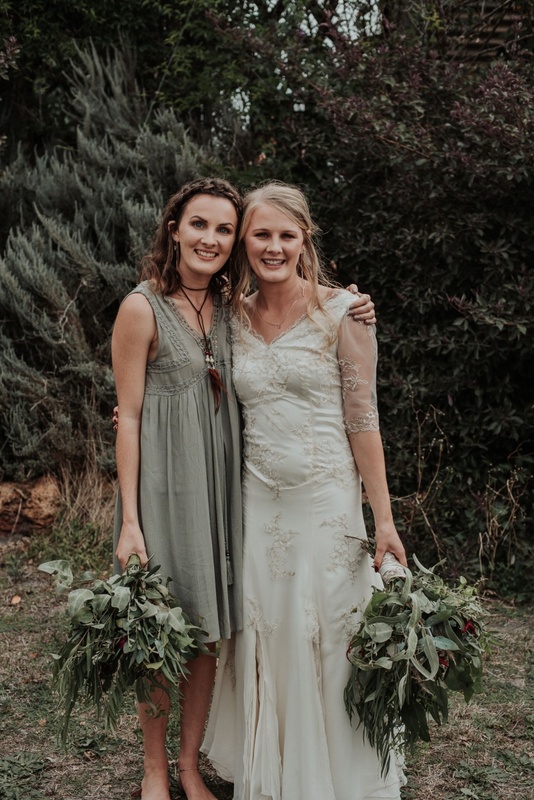 The bride was stunning in her vintage dress completed with an Australian bush bouquet and my personal favourite, bare feet! 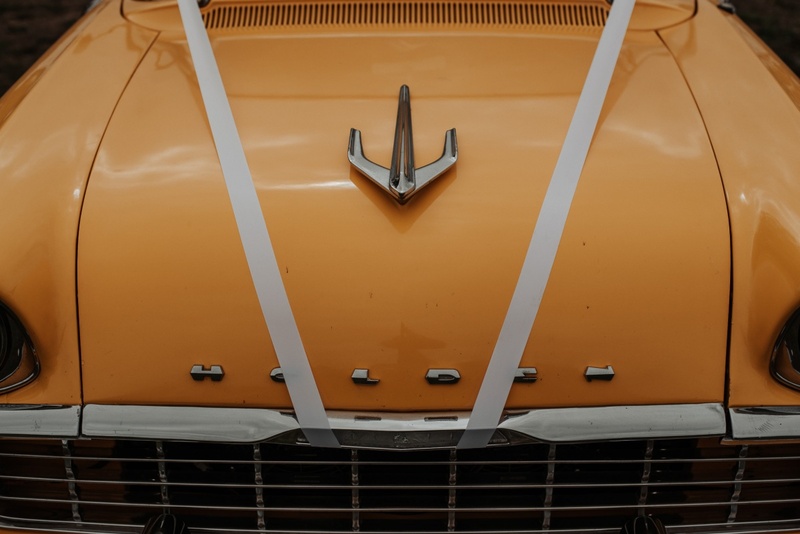 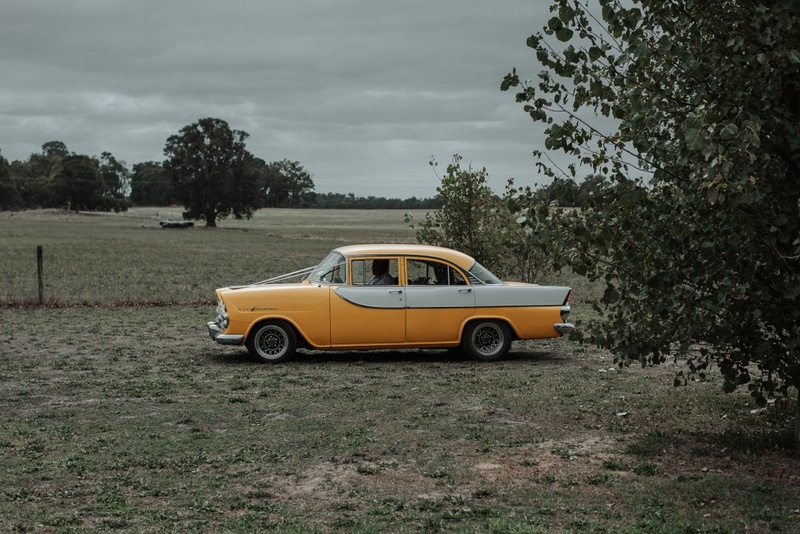 The boys arrived to the ceremony in classic Australian cars, belonging to the father of the groom and his uncle. 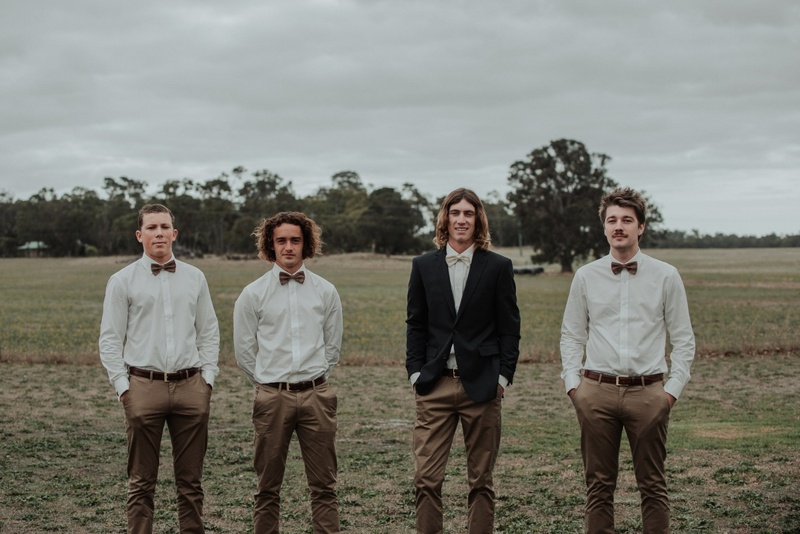 They all looked handsome in their neutral tones and bow ties. 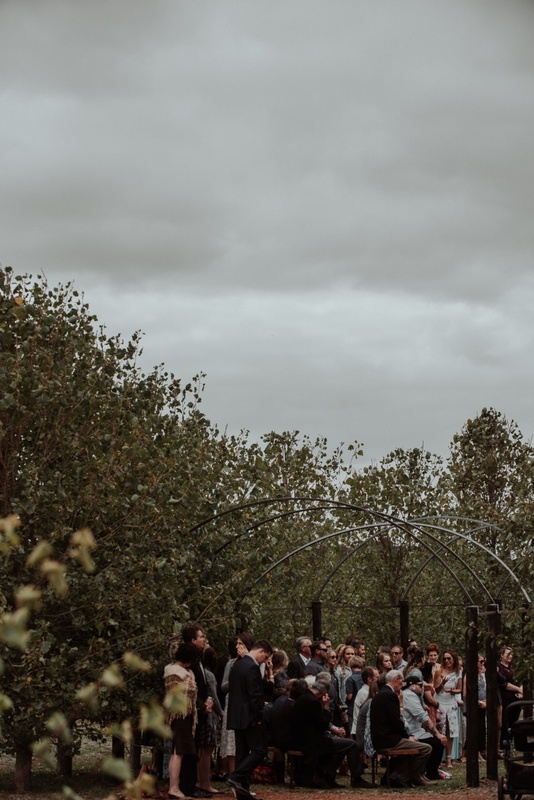 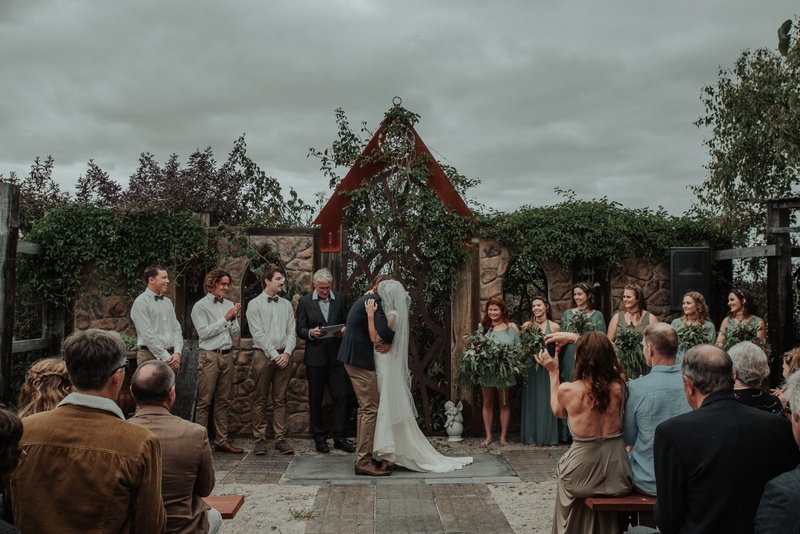 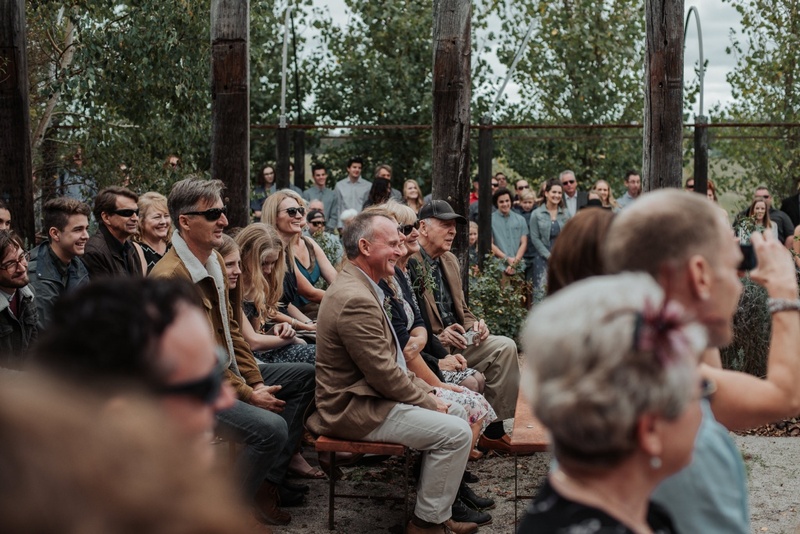 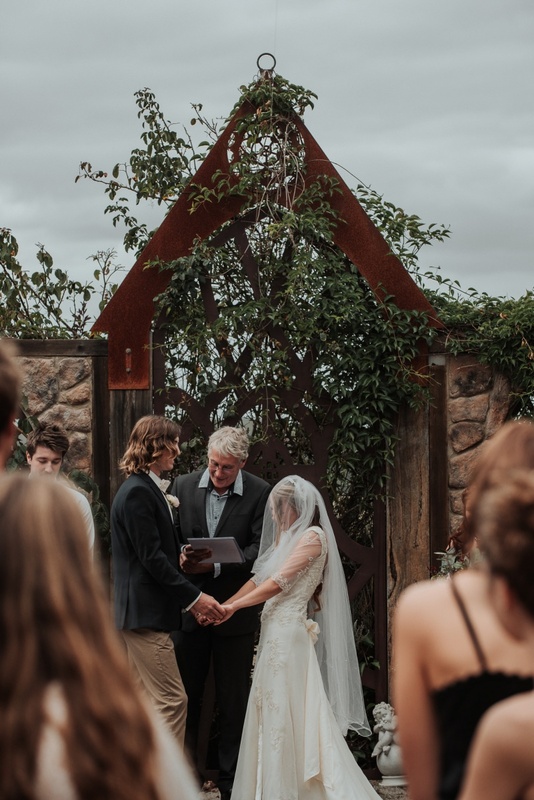 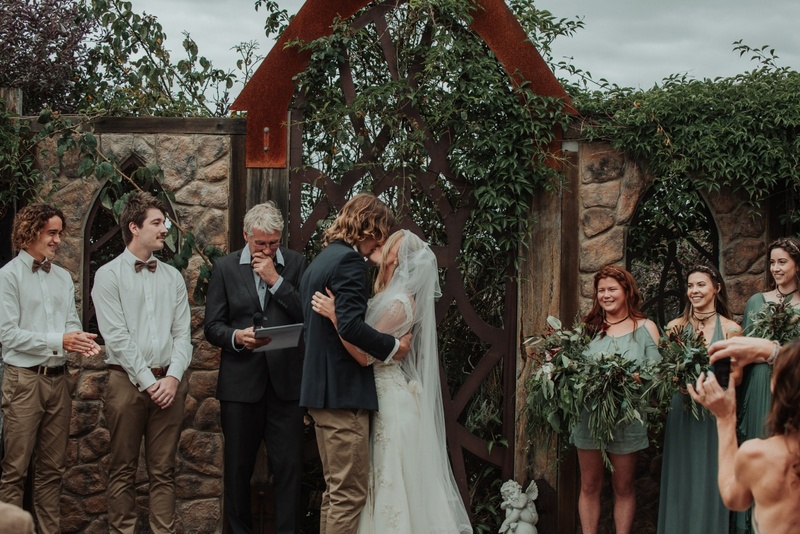 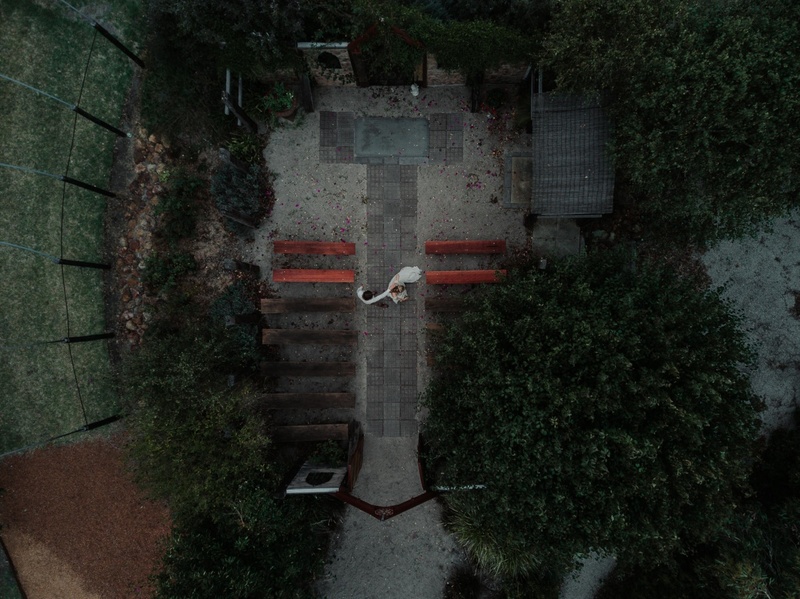 The hand built outdoor chapel was the perfect location for this intimate ceremony with family and friends. 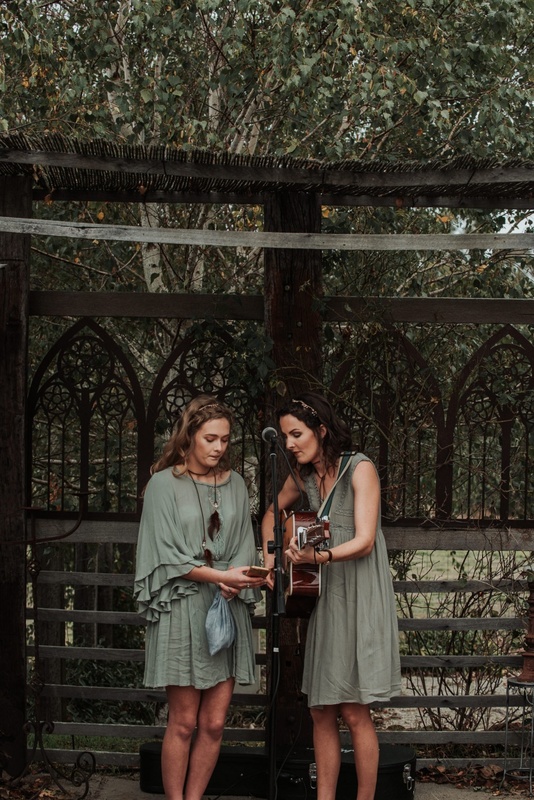 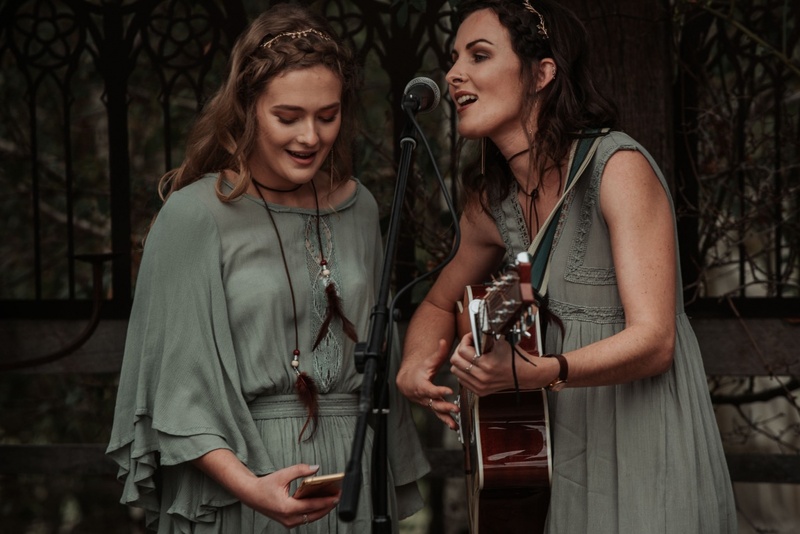 Guests were entertained during the signing with a beautiful duet from the bridesmaids. 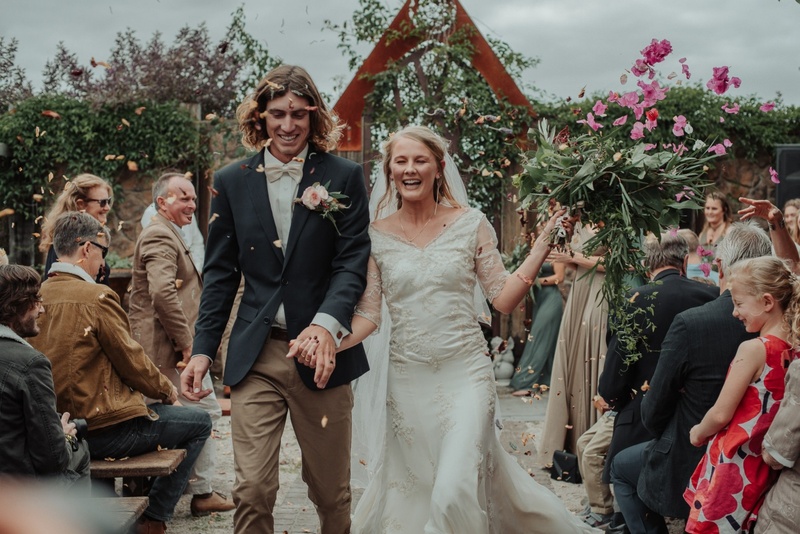 They showered the couple with dried rose petals as they made their way out of the chapel as the new Mr and Mrs Black. 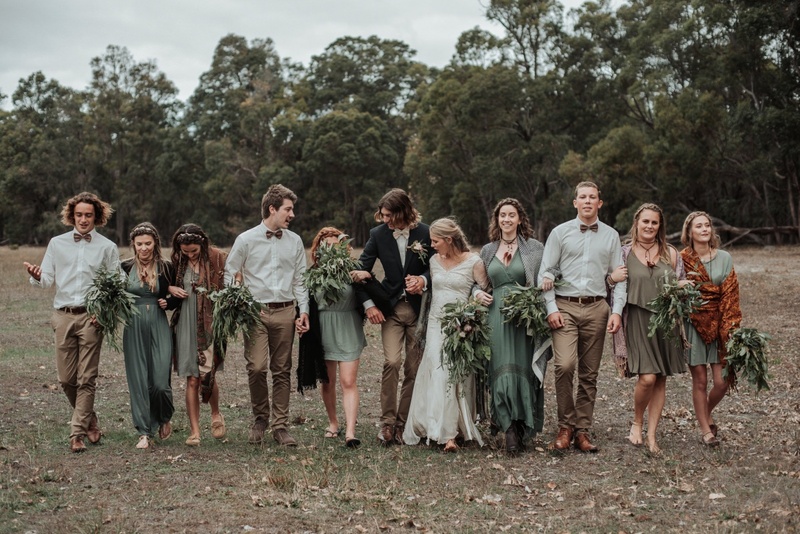 Following the ceremony, the bridal party and guests made their way to the homestead. 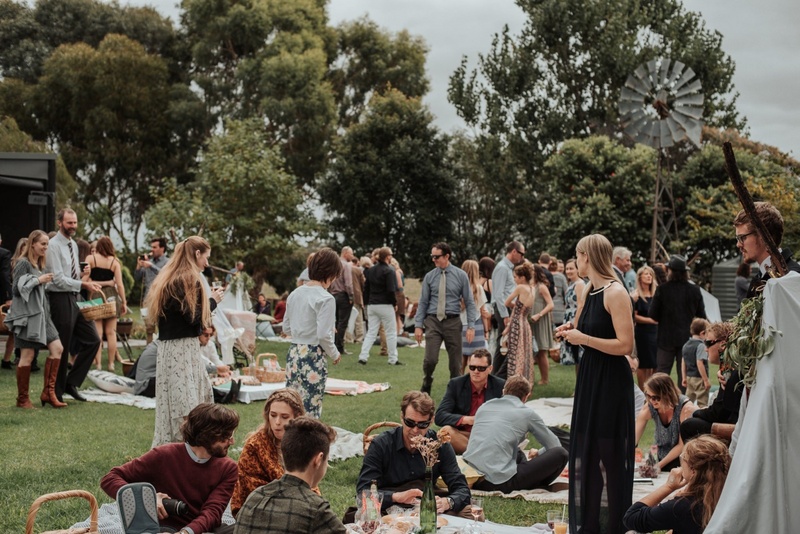 They were welcomed to the perfect picnic lunch. 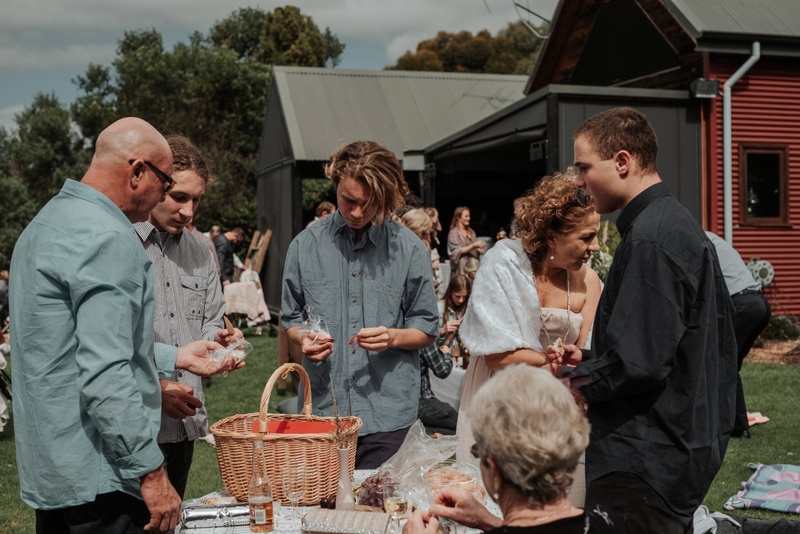 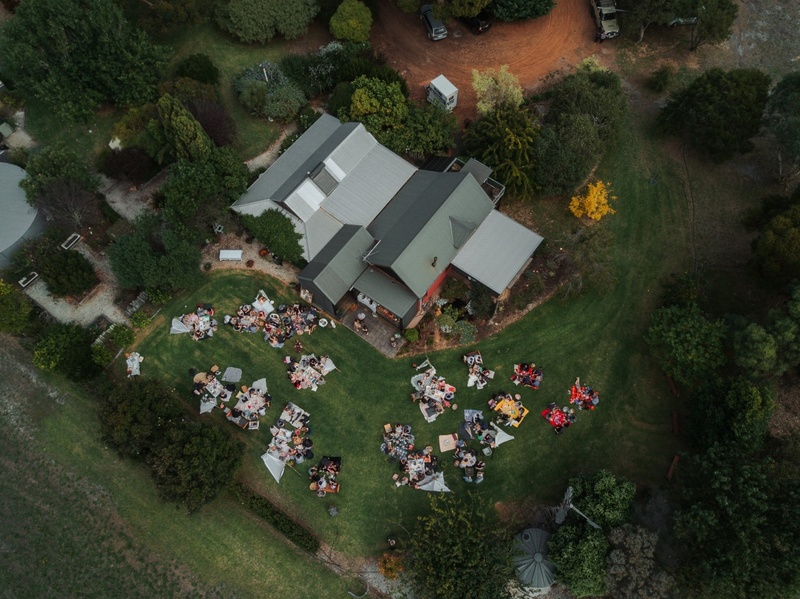 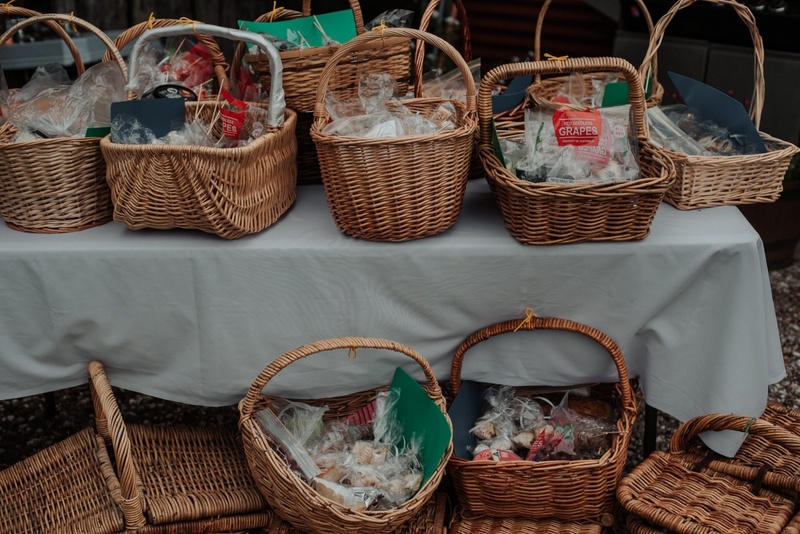 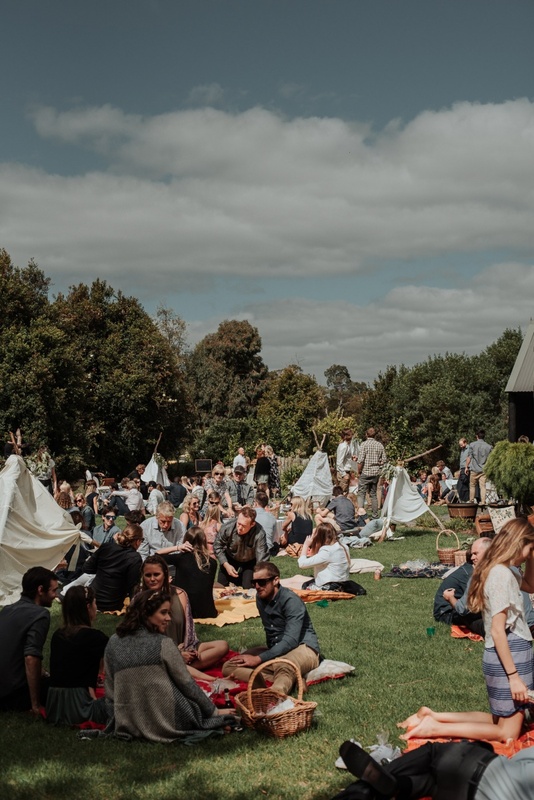 Guests gathered on the lawn overlooking large paddocks and shared picnic hampers on blankets, pillows and couches under the warm afternoon sun. 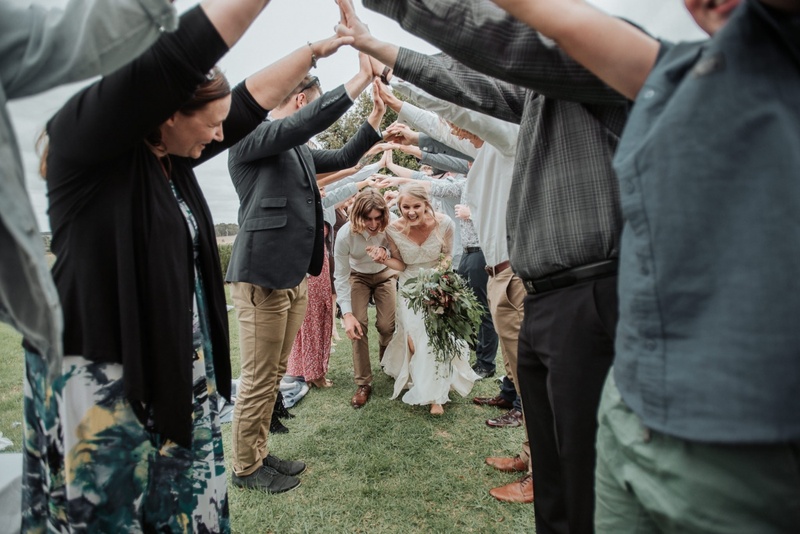 After relaxing in the sun, the bride and groom departed their reception via the longest human tunnel we had ever seen. 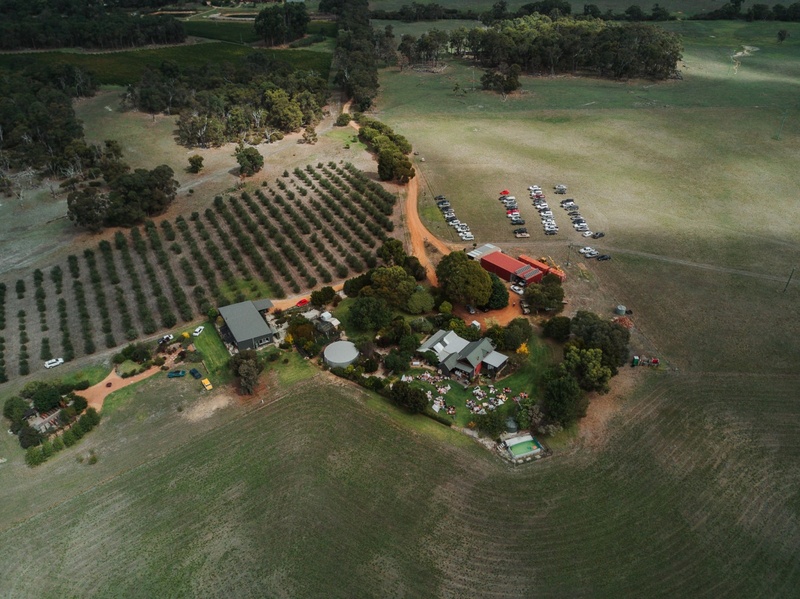 We then headed deep into the Cowaramup property. 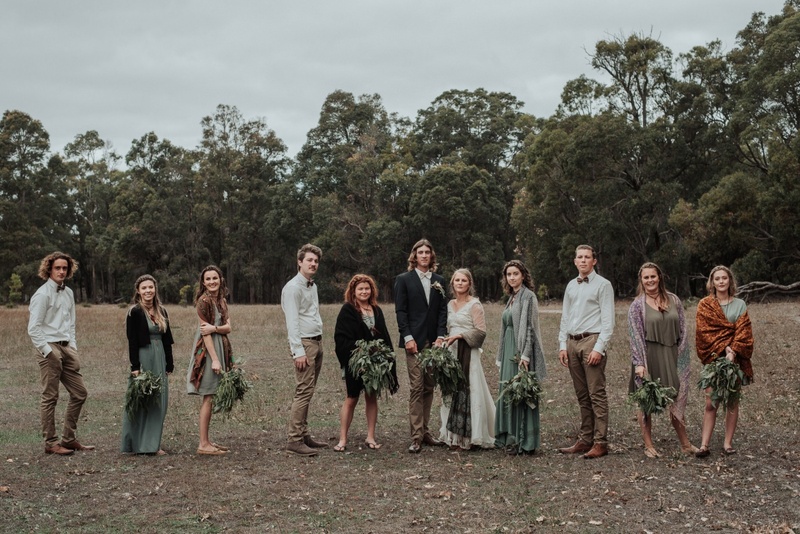 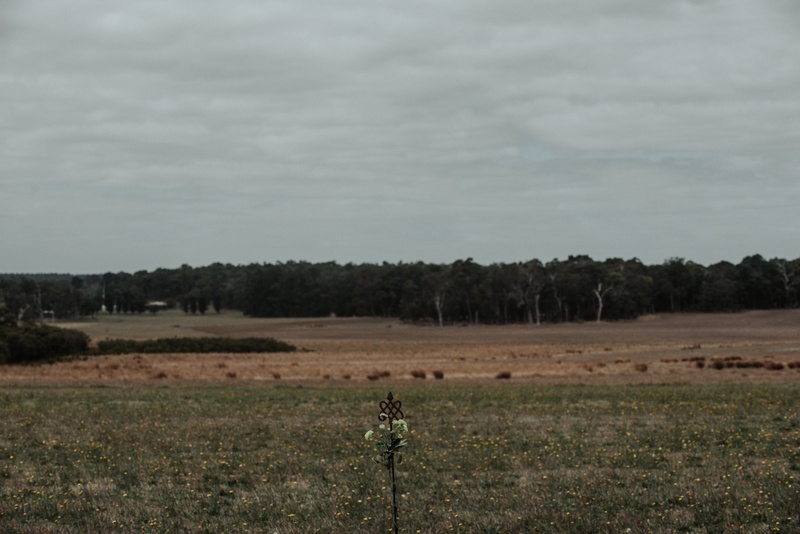 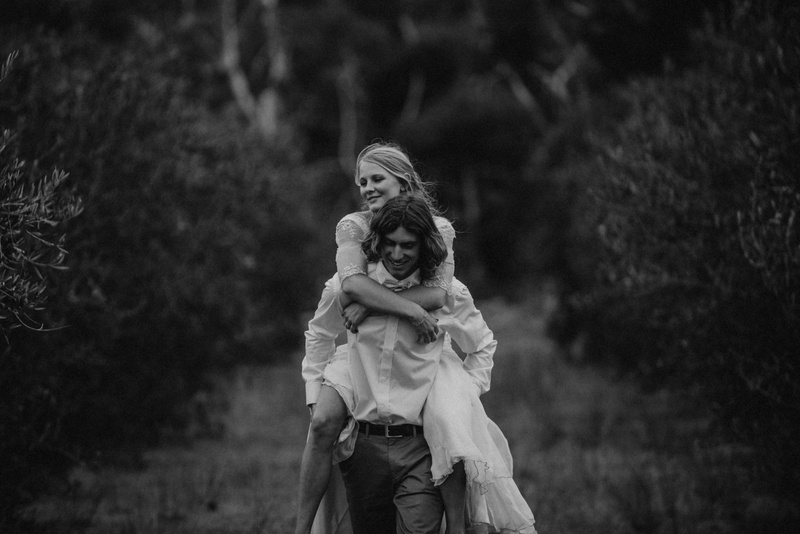 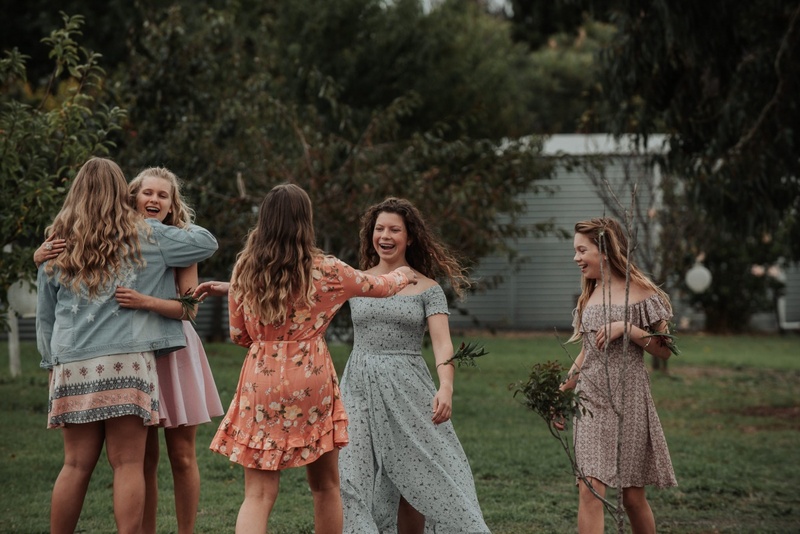 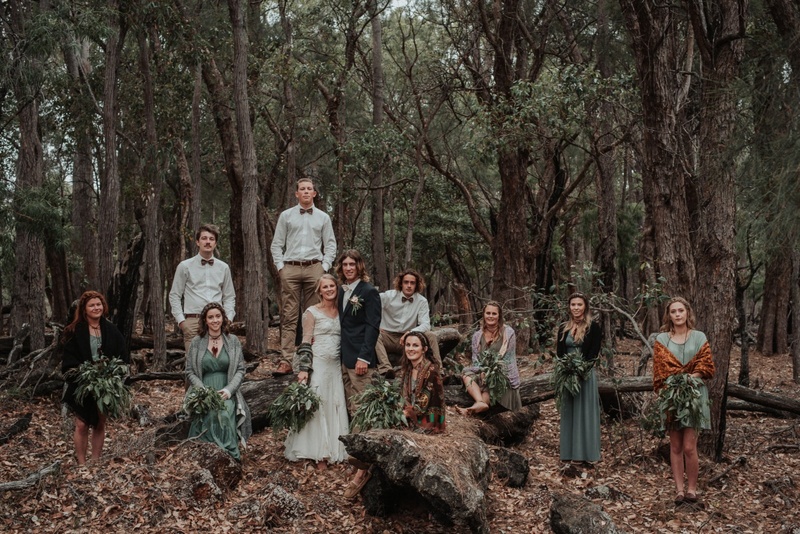 The property was the perfect backdrop for bridal party photos with the open fields and natural Australian bushland. 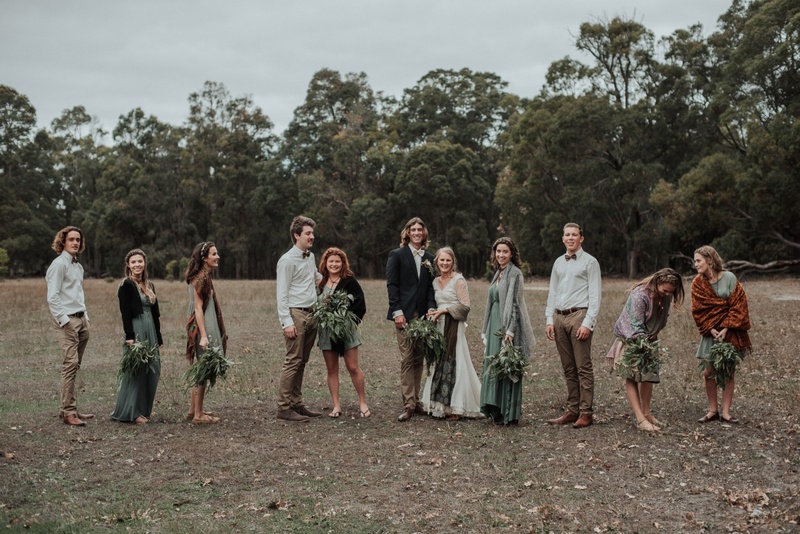 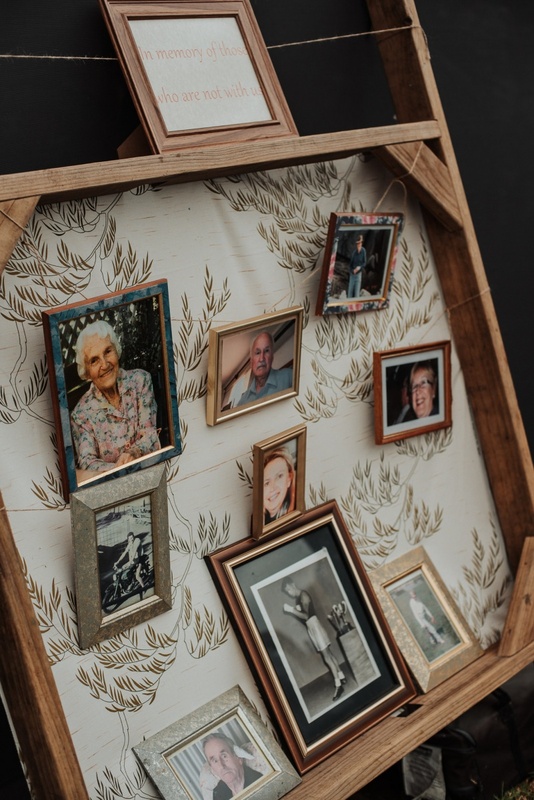 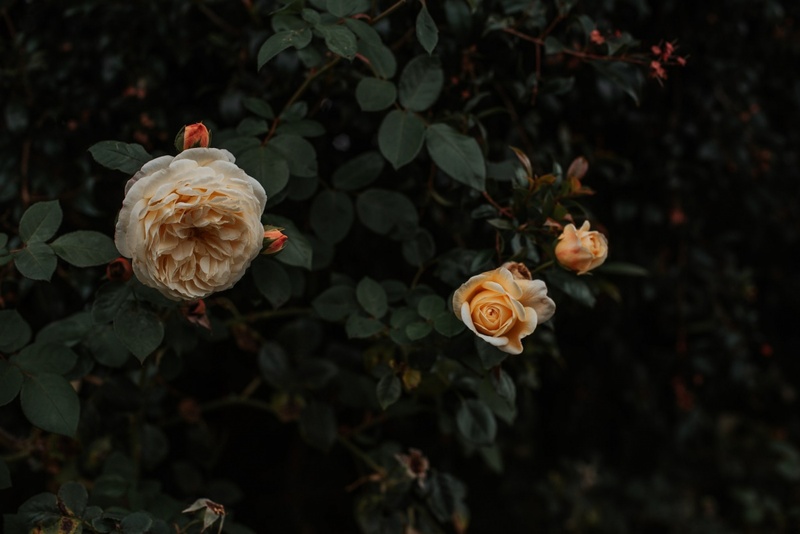 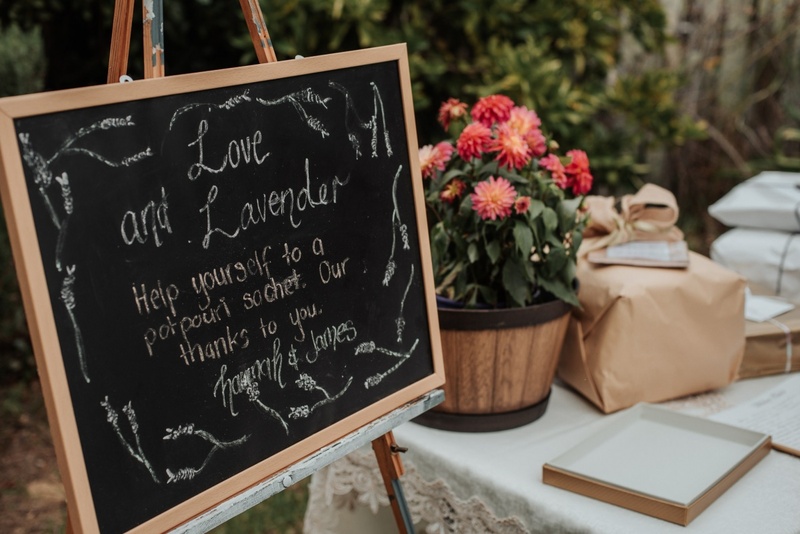 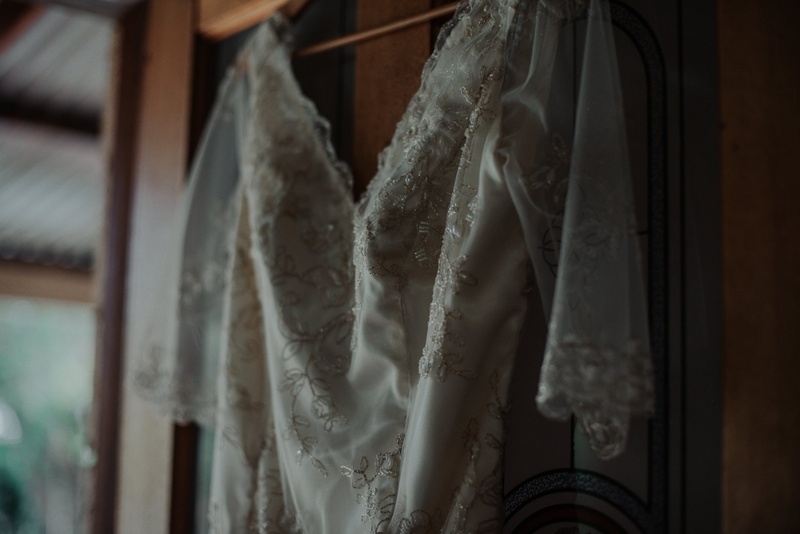 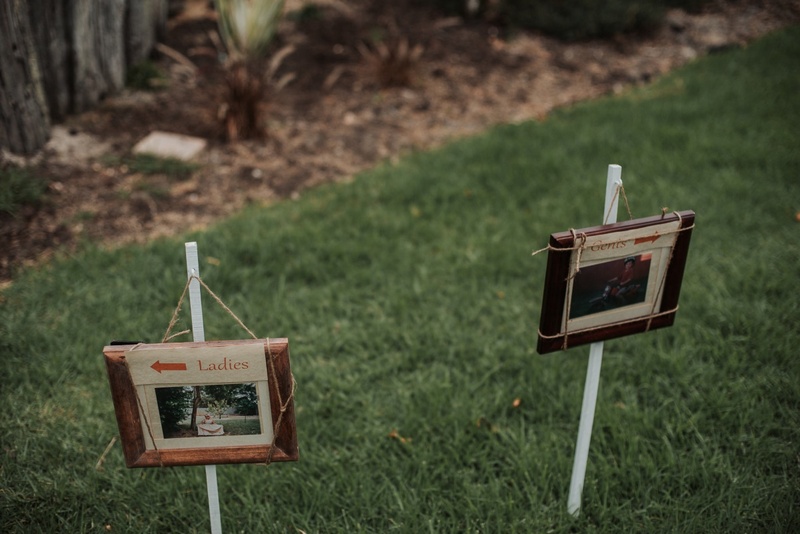 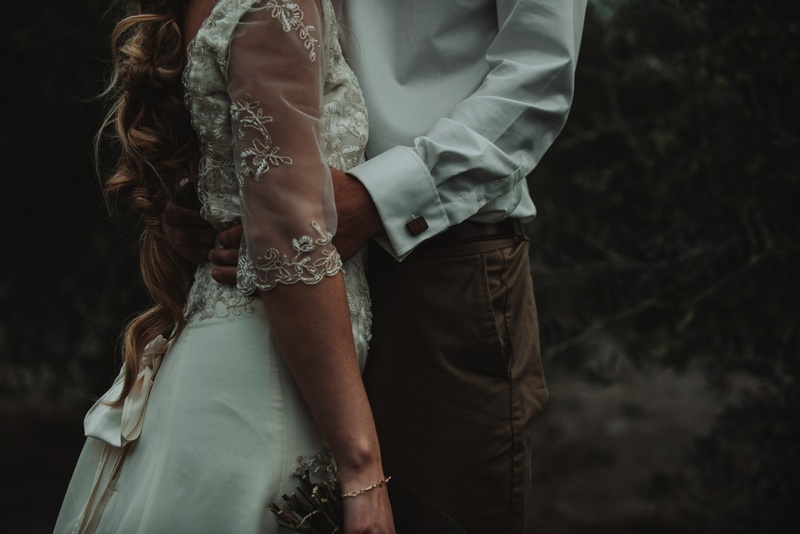 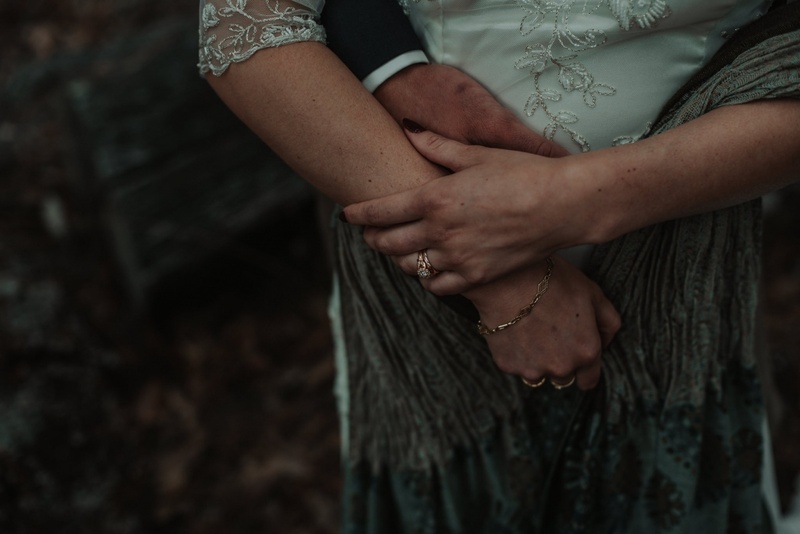 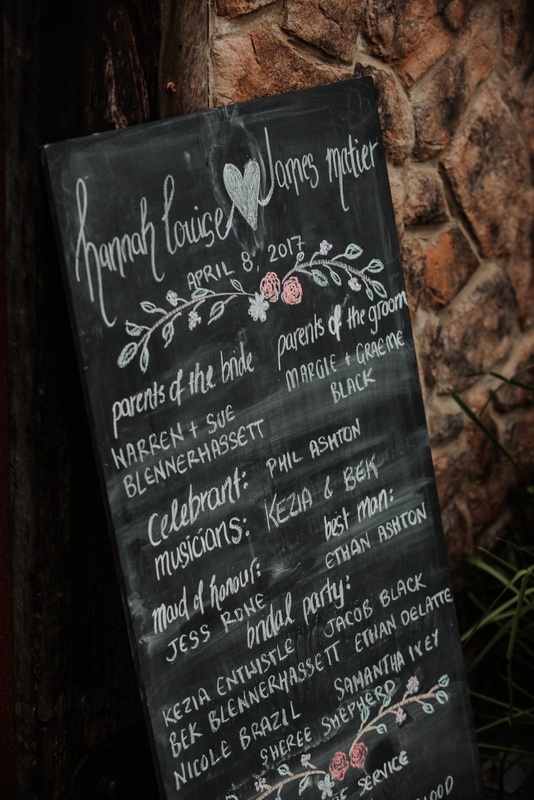 This country DIY wedding was the perfect end to an amazing wedding season for us. 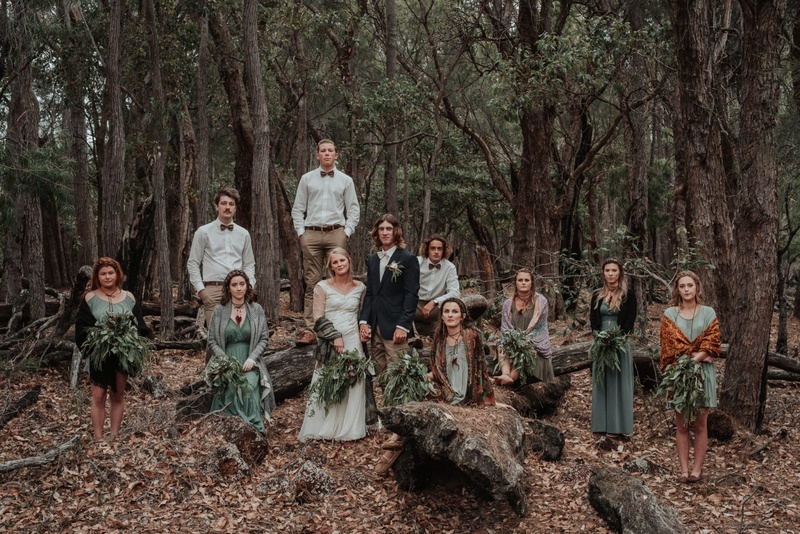 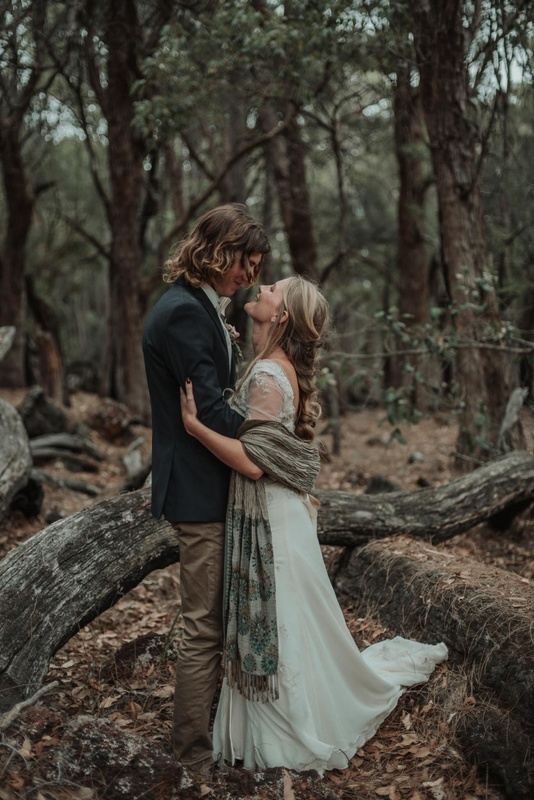 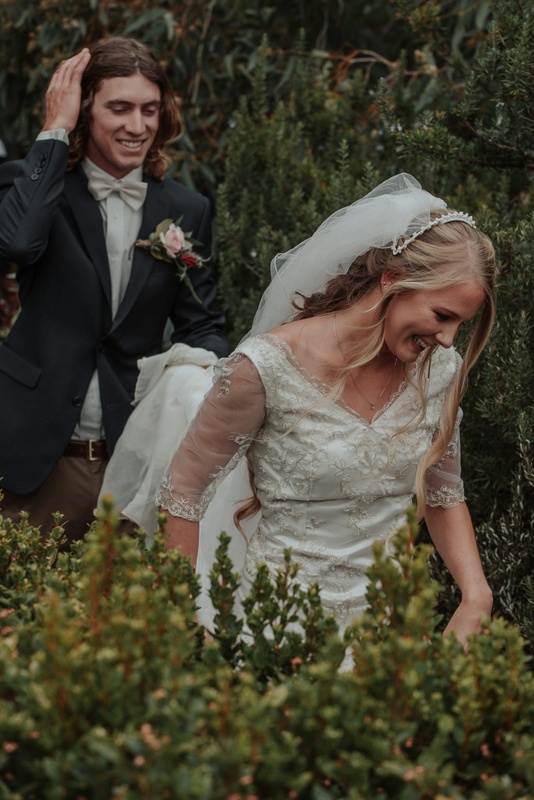 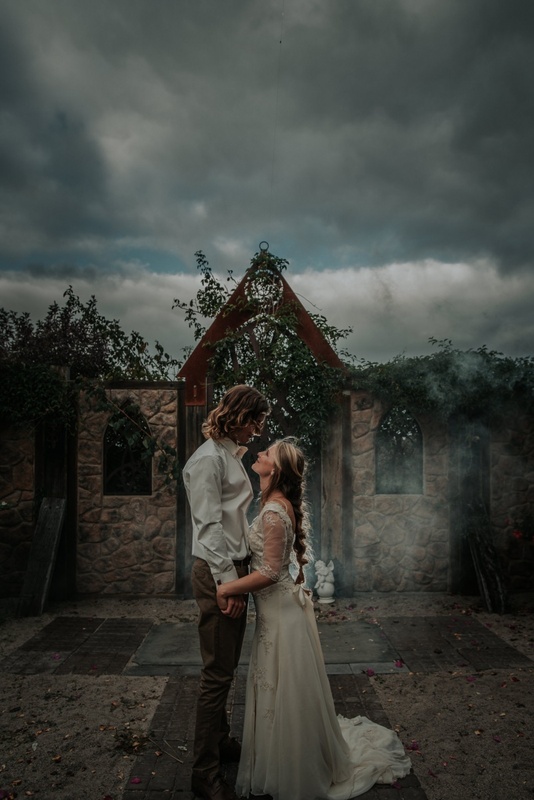 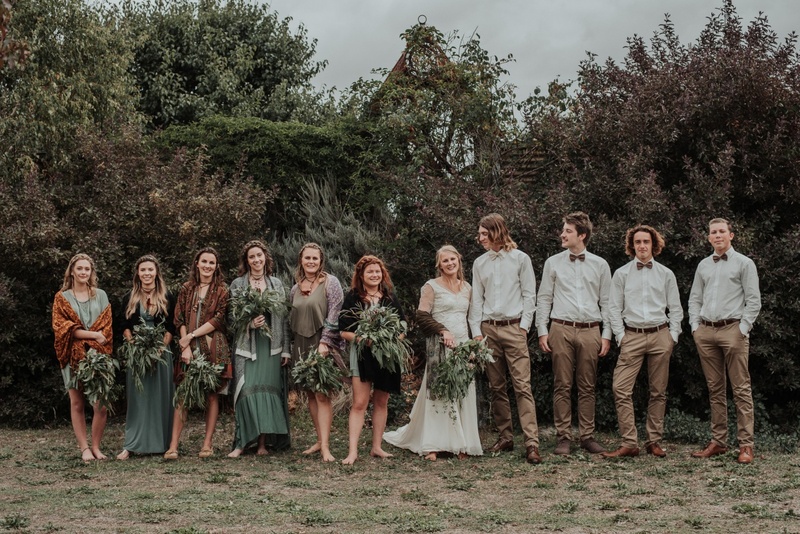 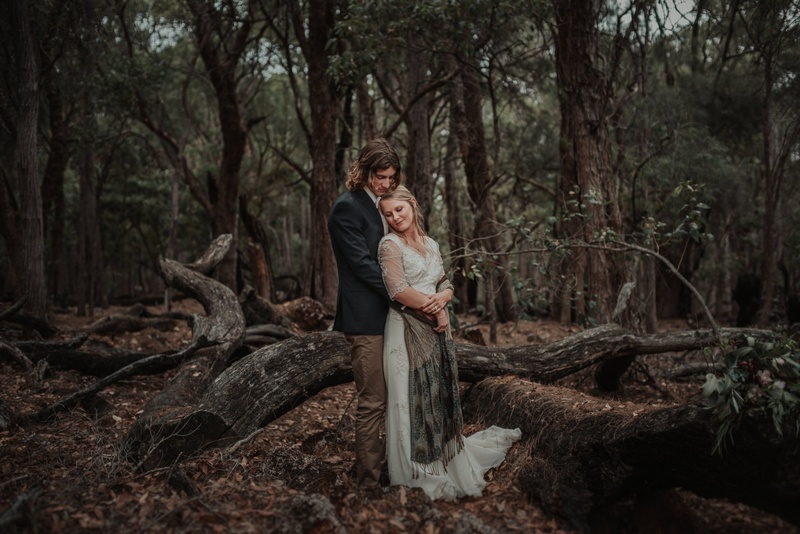 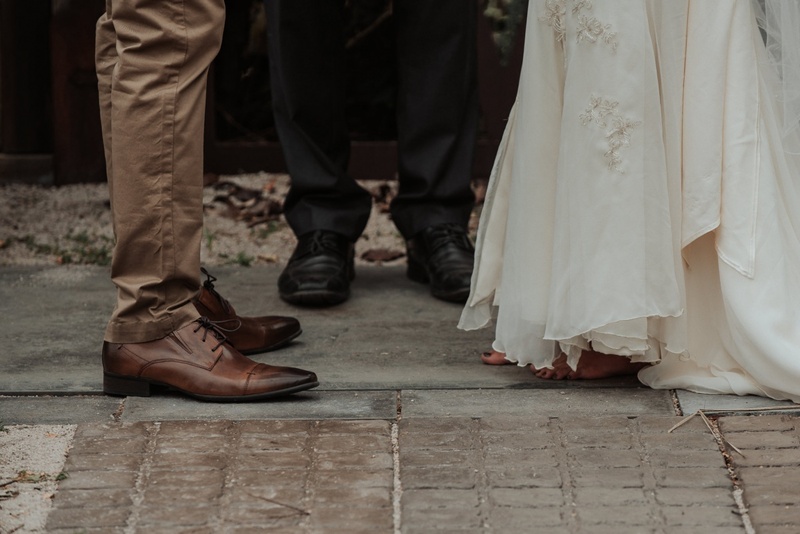 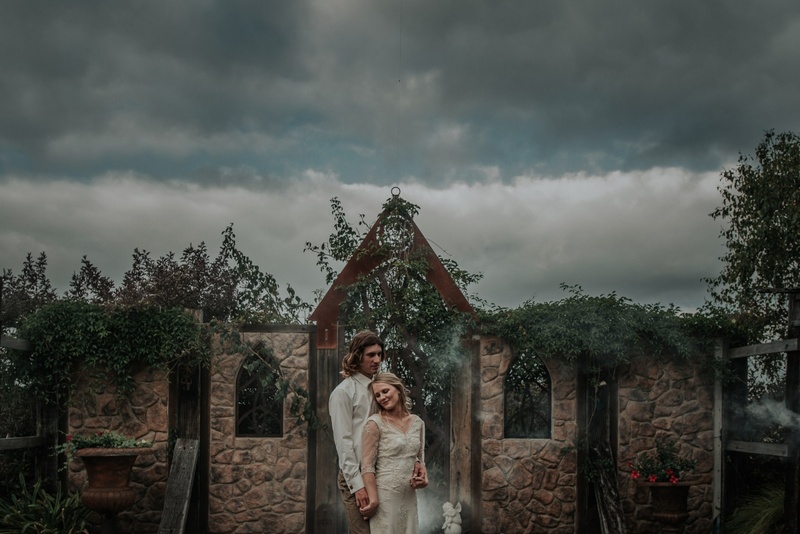 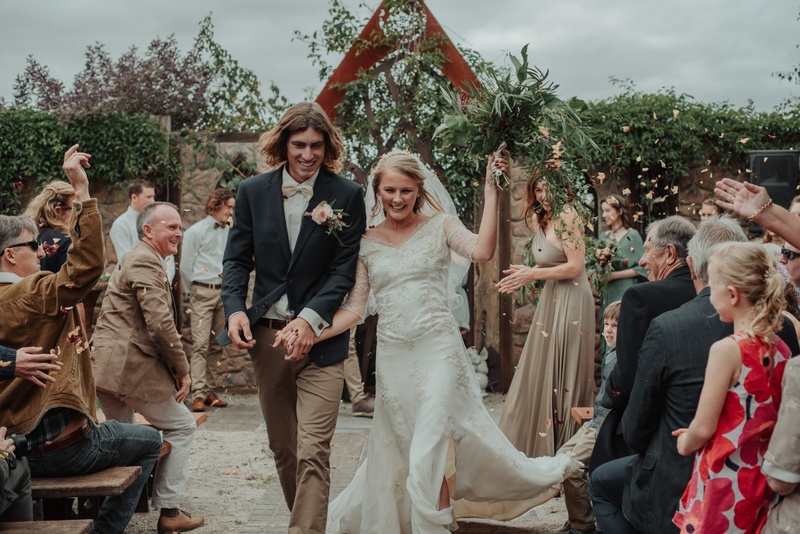 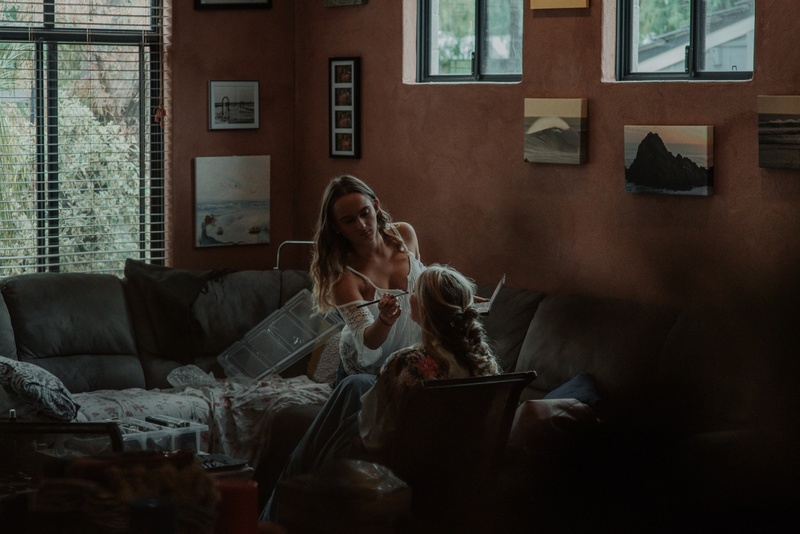 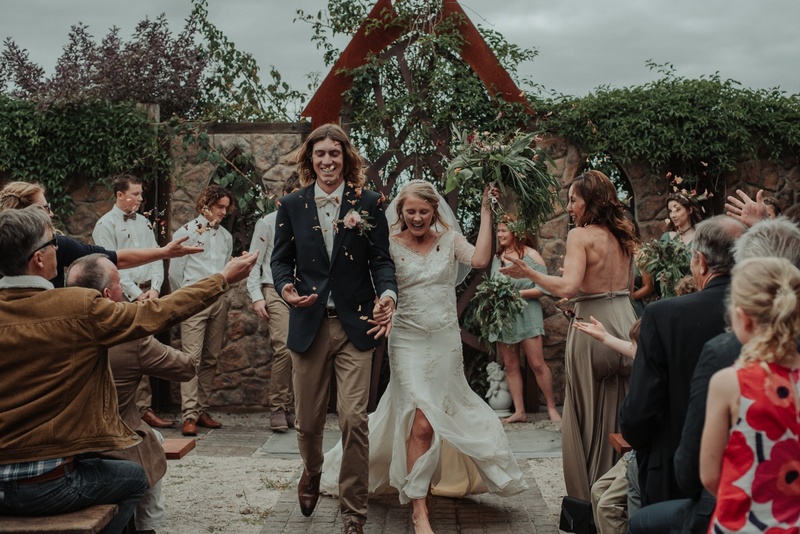 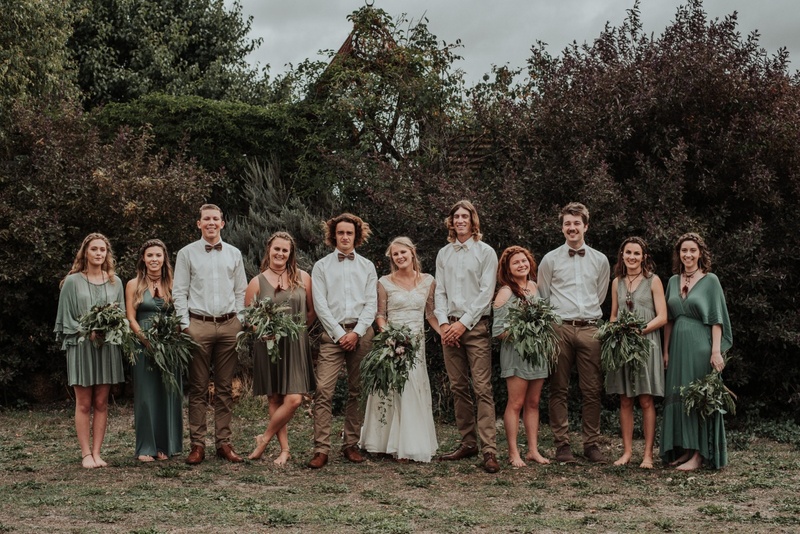 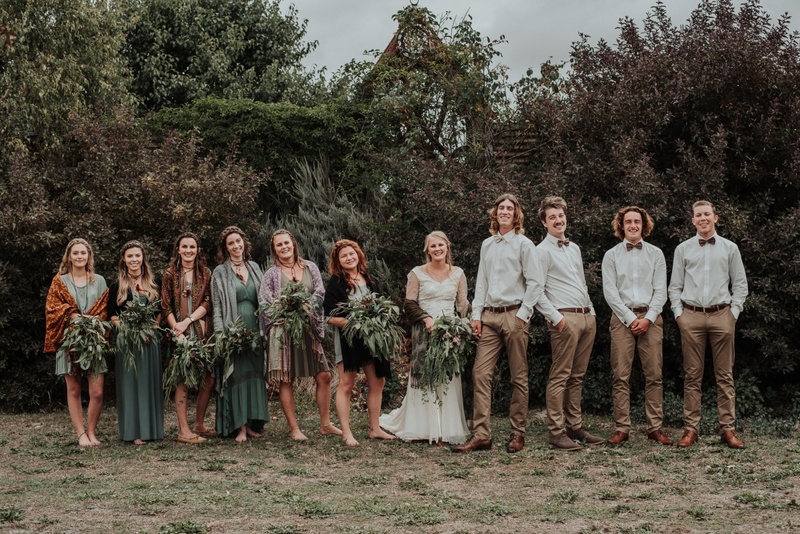 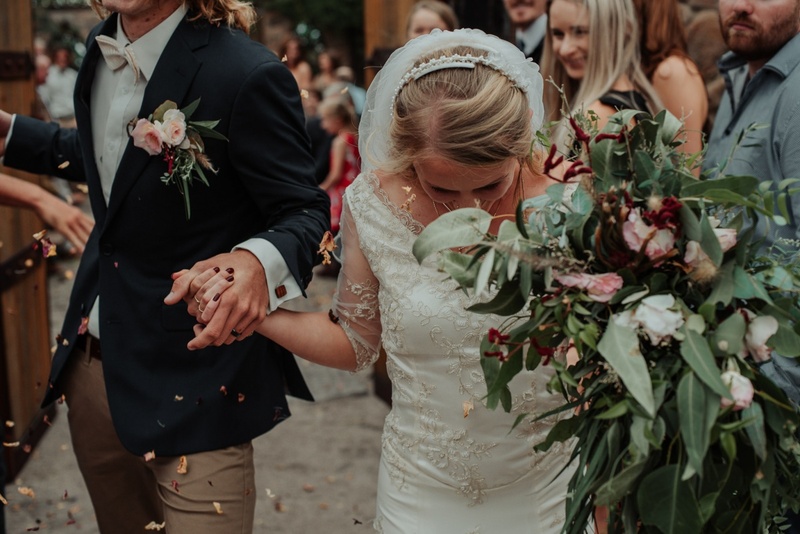 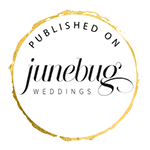 Thank you Hannah, James and your stylish squad for being so adventurous and making amazing wedding photographs with us.